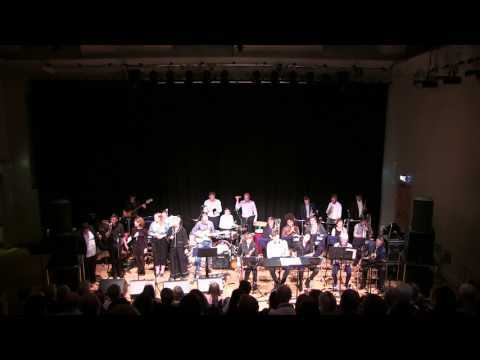 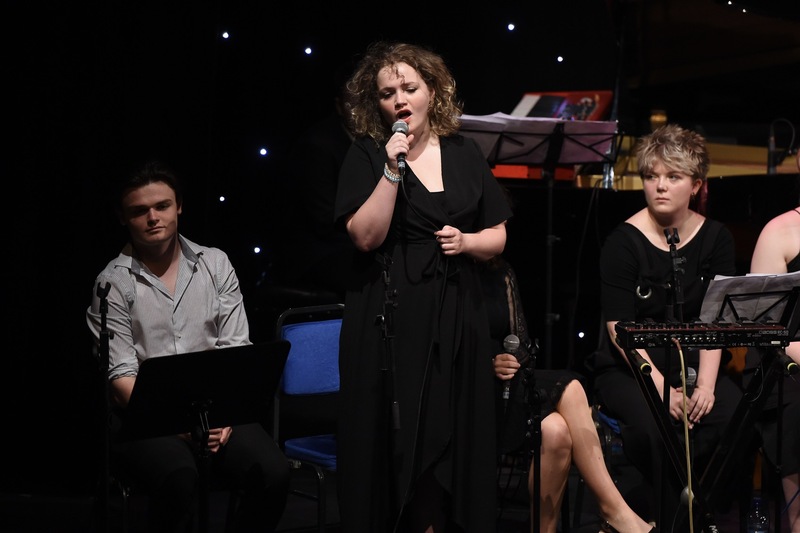 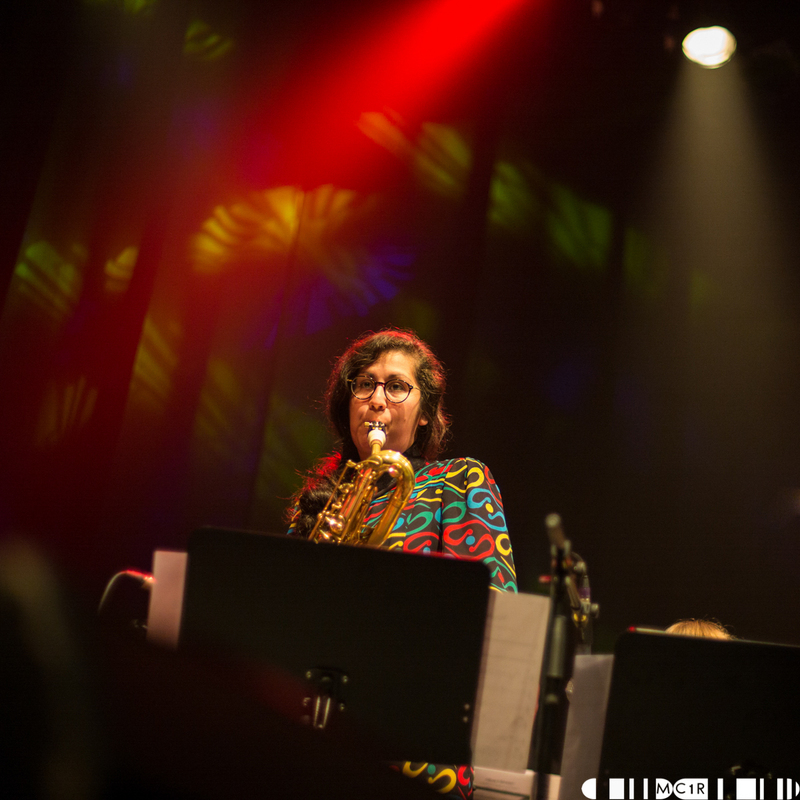 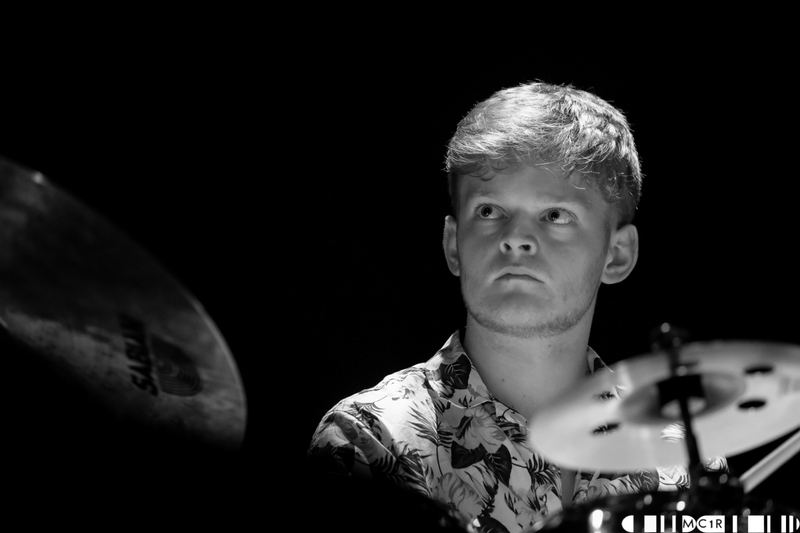 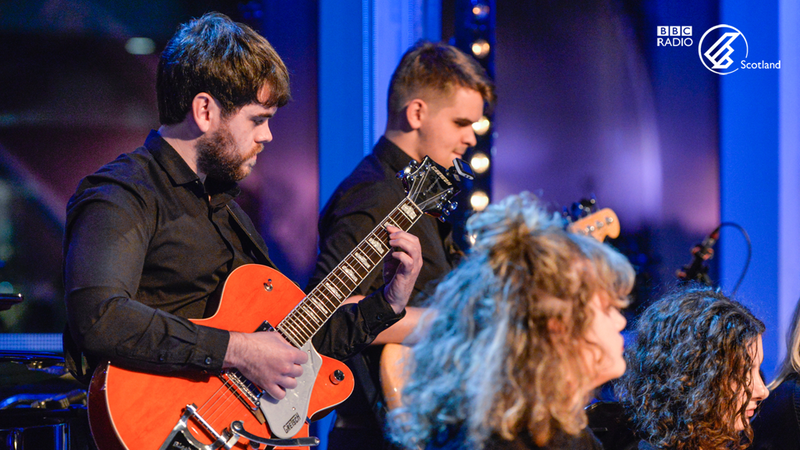 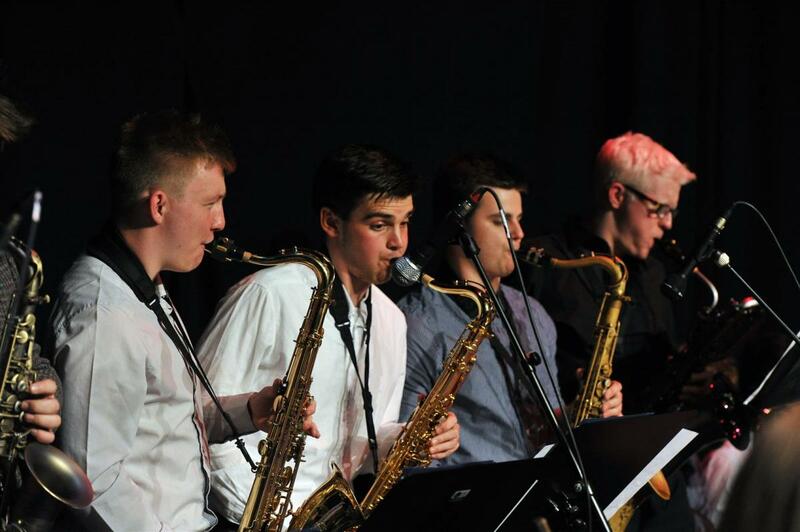 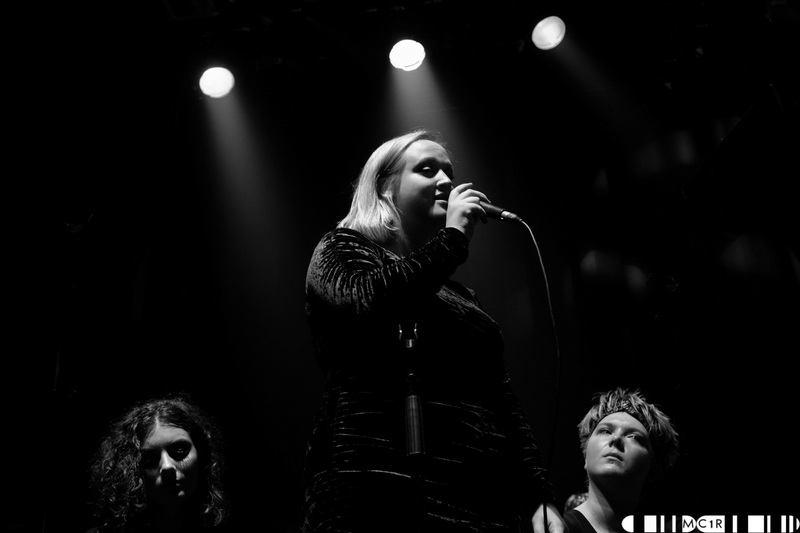 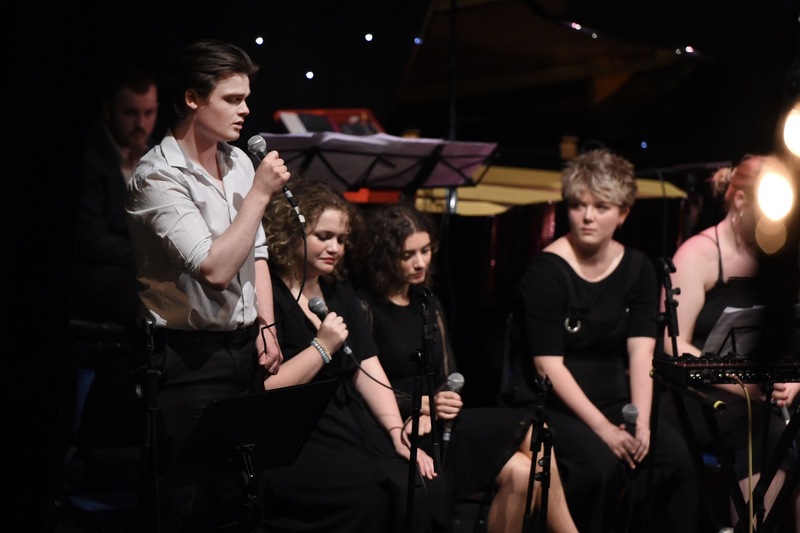 NYOS Jazz Orchestra (The National Youth Jazz Orchestra of Scotland) is Scotland's foremost youth jazz ensemble that performs throughout the UK at high profile jazz venues and festivals. 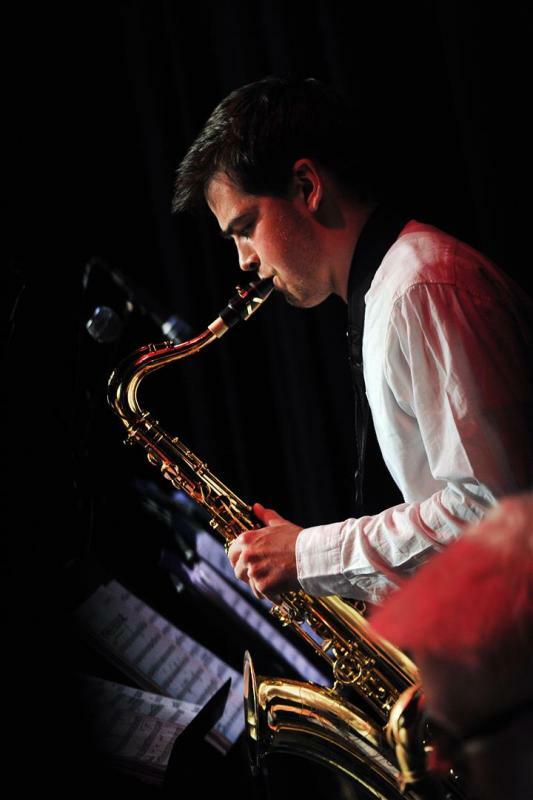 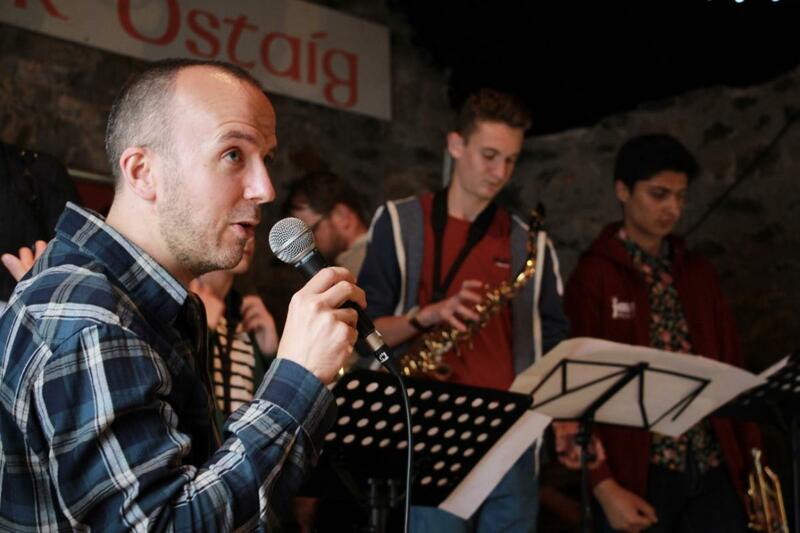 Under the direction of Malcolm Edmonstone and Andrew Bain, NYOS Jazz is for talented young musicians. 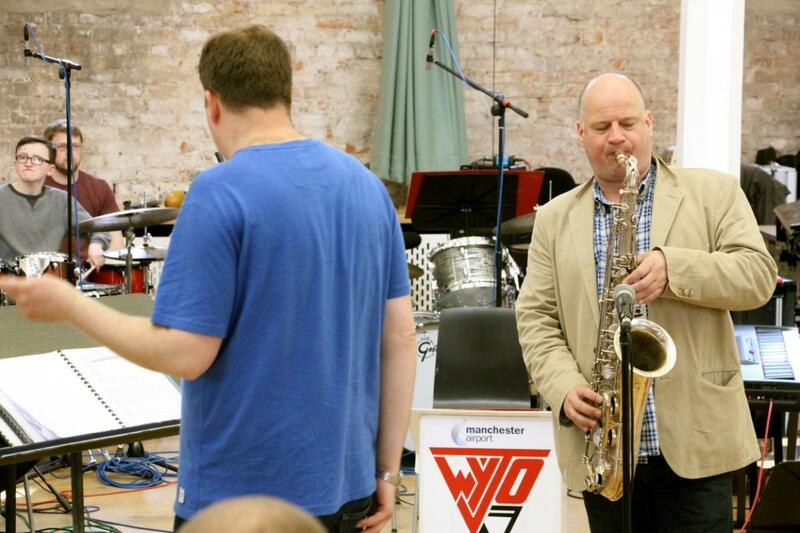 It provides education, performance experience and the opportunity to learn from and play with world class soloists. 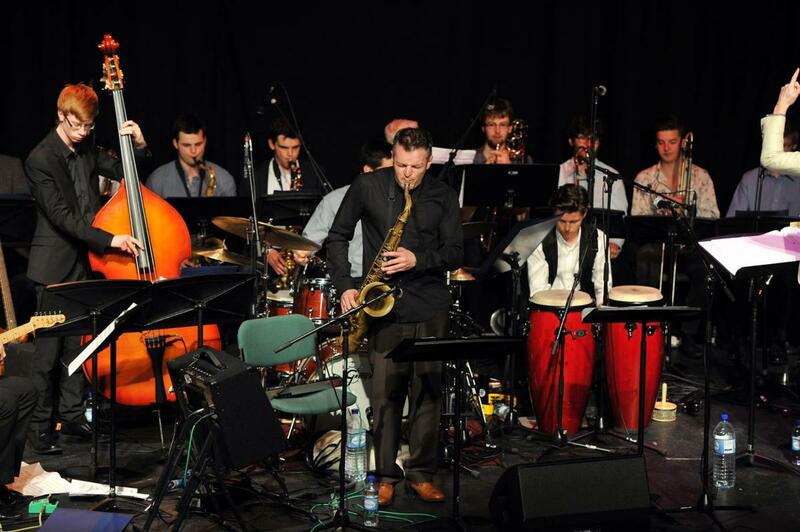 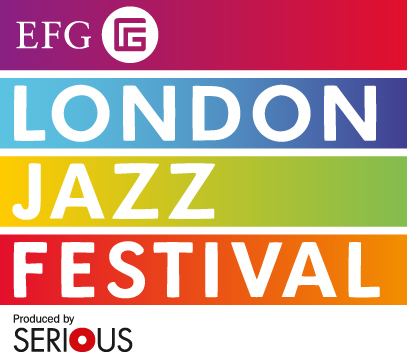 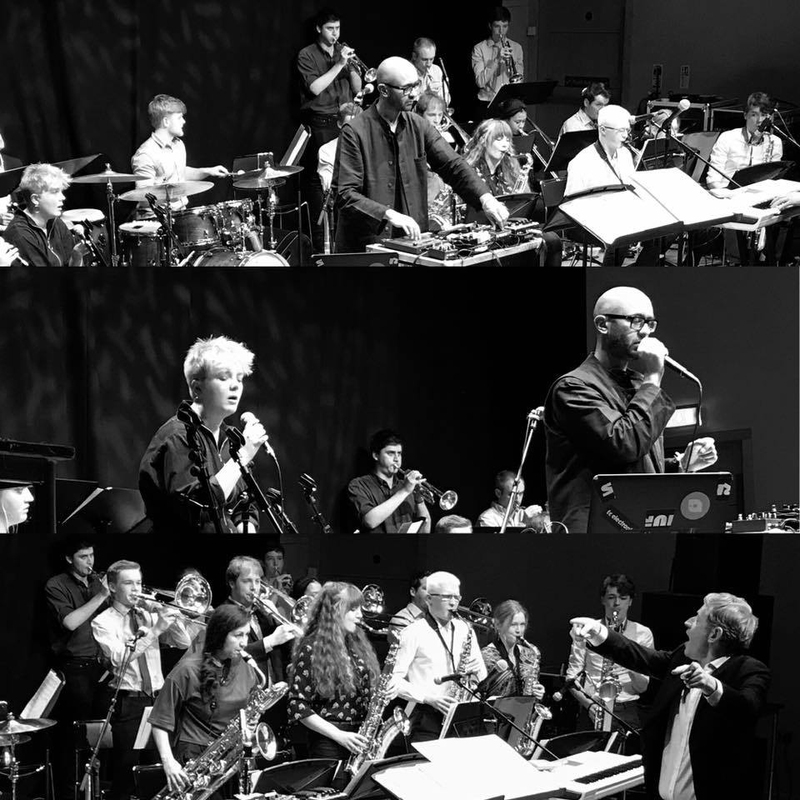 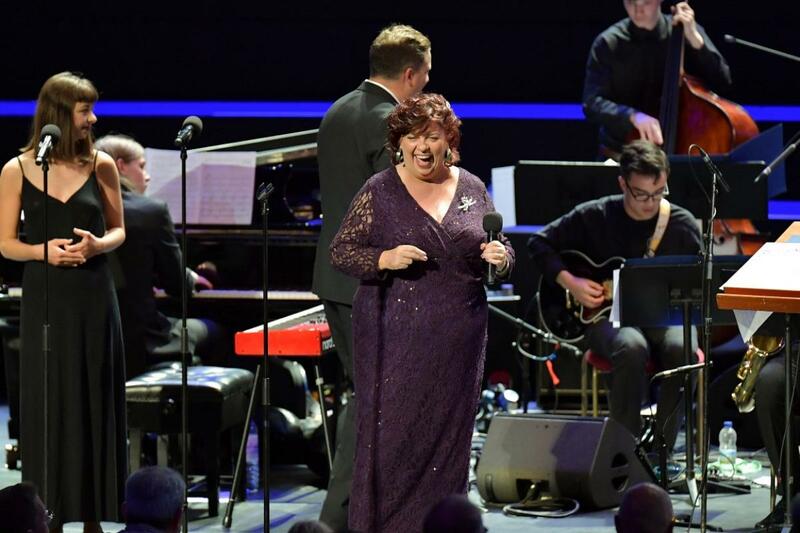 To date, the Jazz Orchestra has undertaken new commissions, made studio recordings, performed at International Festivals (including the BBC Proms and the London Jazz Festival) and has worked with international guest artists Liane Carroll, Iain Ballamy, Mike Walker, Iain Dixon, Chris Batchelor, Mark Lockheart, Jacqui Dankworth and Duncan Lamont. 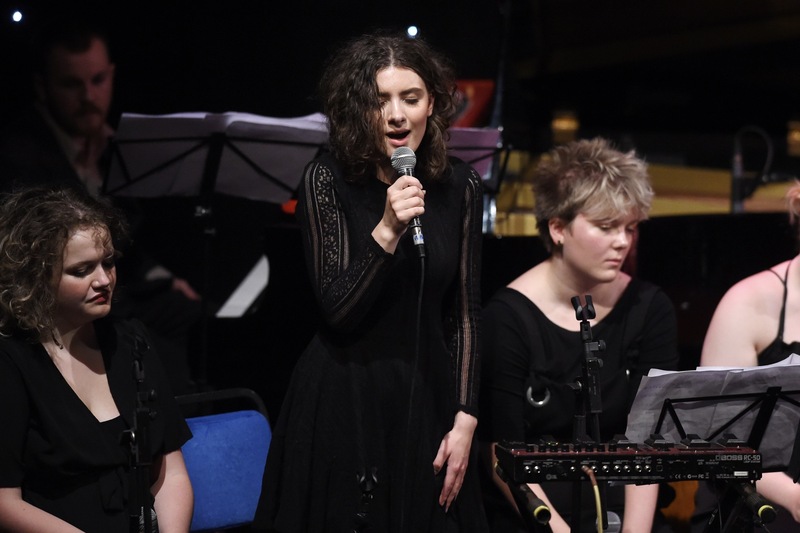 If you are an instrumentalist or vocalist aged between 14 and 25 and have links to Scotland i.e. 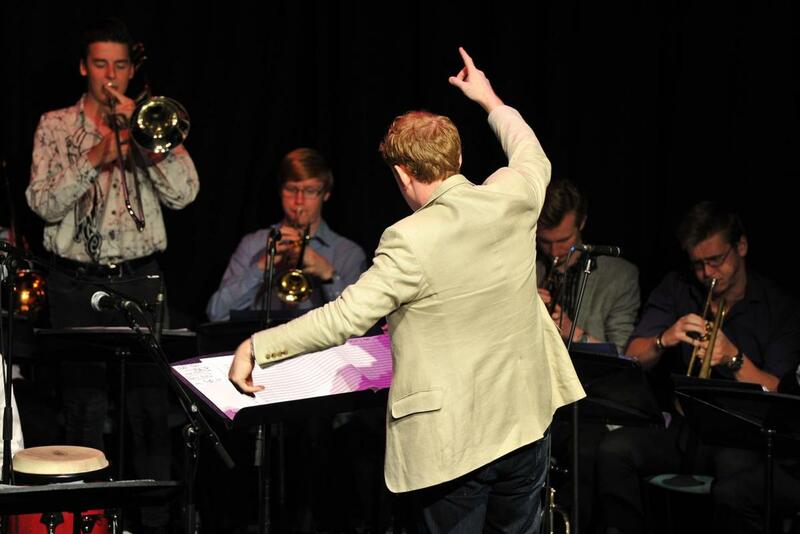 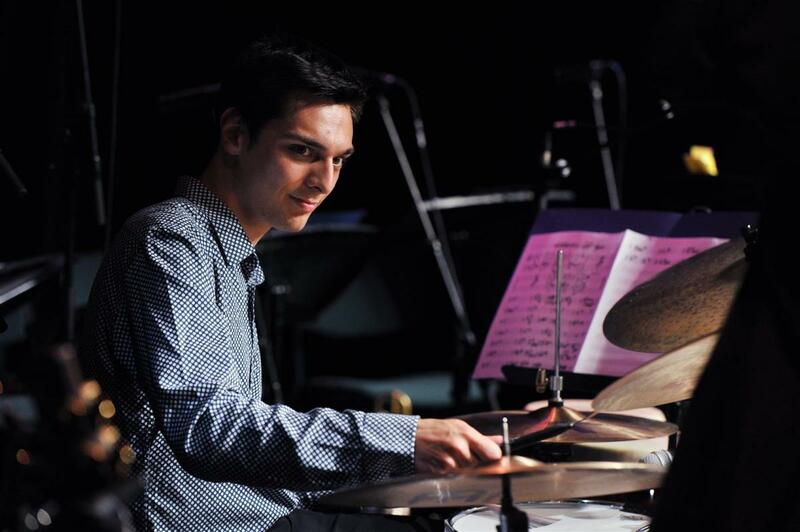 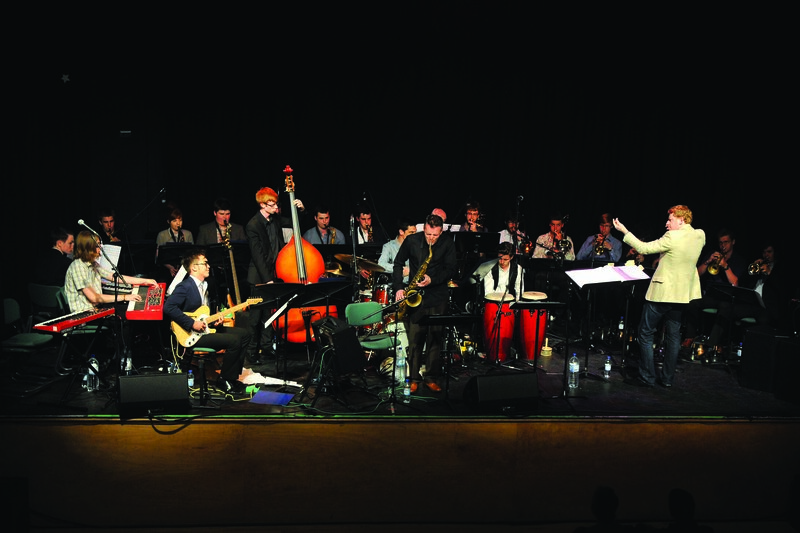 NYOS Jazz Orchestra presents a profusion of cool jazz in two parts. 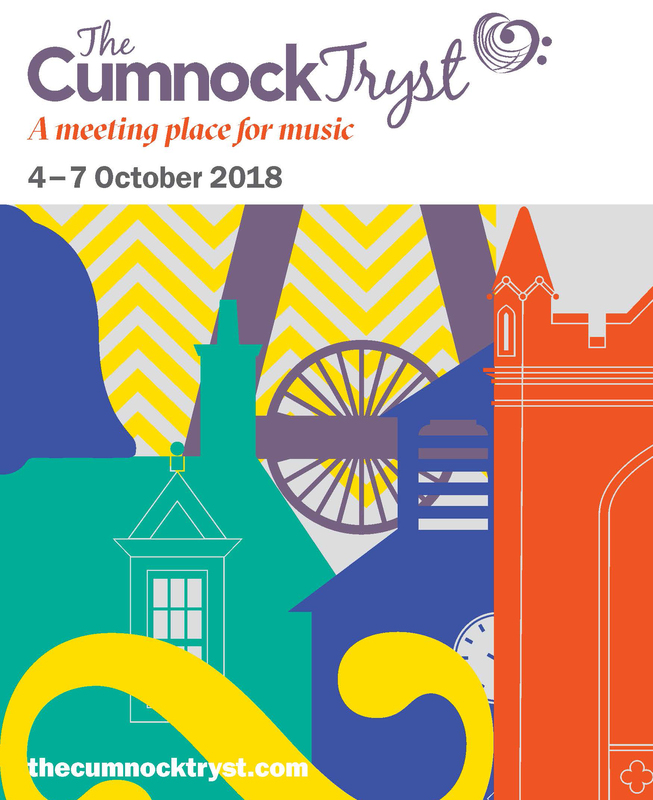 The Cumnock Tryst Festival host a special Festival Club each evening from 21.30 on Thursday 4th, Friday 5th and Saturday 6th of October 2018. 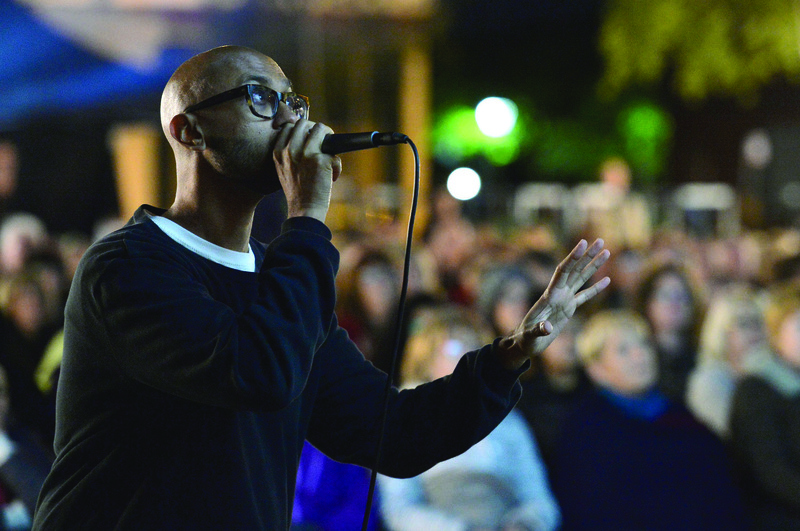 The event is free and open to all. 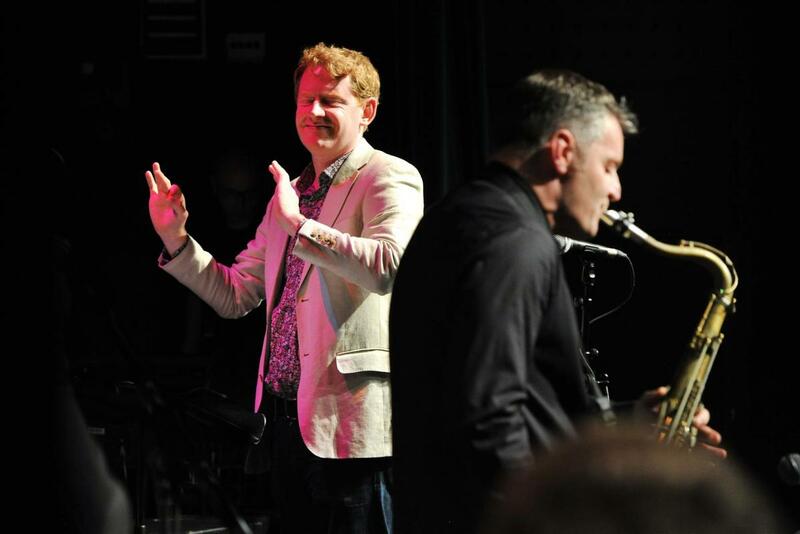 All they ask is to ‘pay what you like’ as a donation on the night. 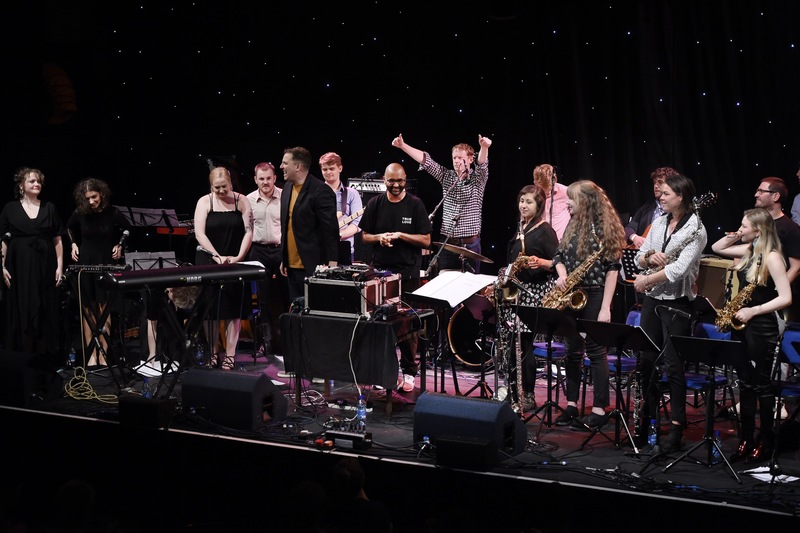 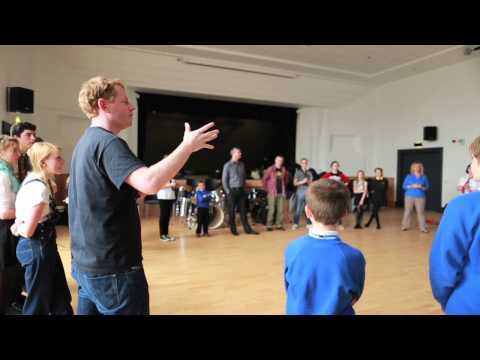 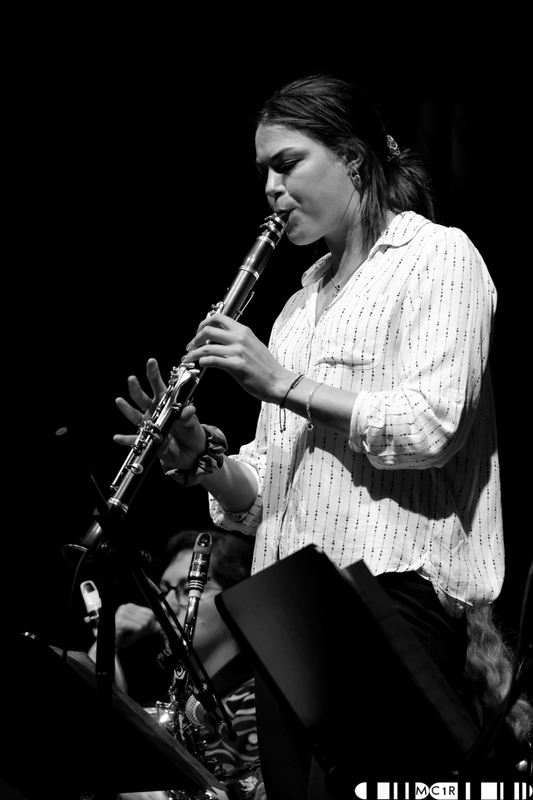 The NYOS Jazz Ambassadors perform on Saturday 6th October and will be joined by performers from Drake Music Scotland’s Digital Orchestra at the Festival Club. 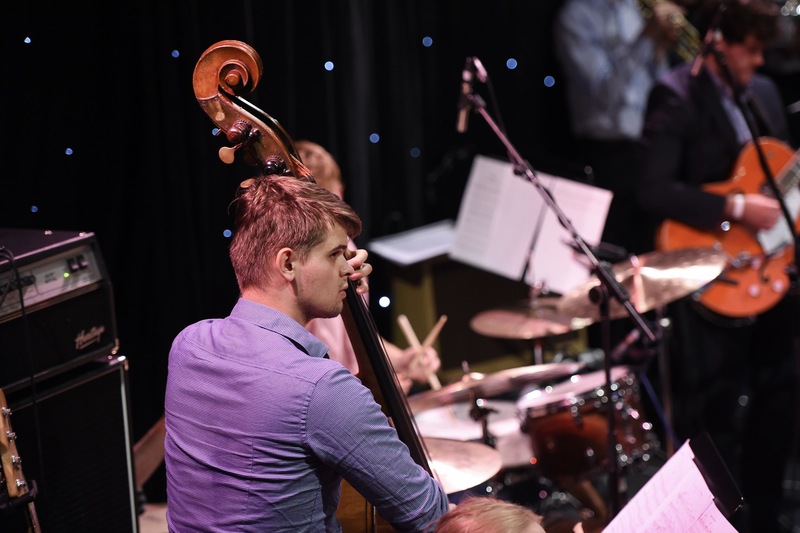 This summer NYOS Jazz Orchestra presents a profusion of cool jazz over four concerts, in two parts. 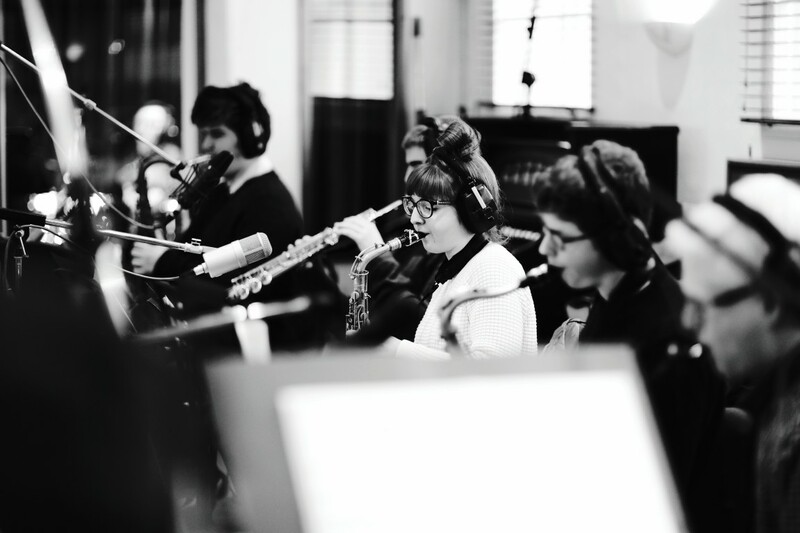 Some of the finest young bands in the world come together in a showcase of what could well be the future of Jazz. 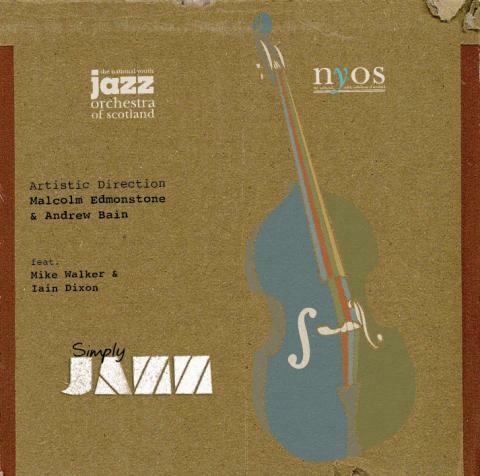 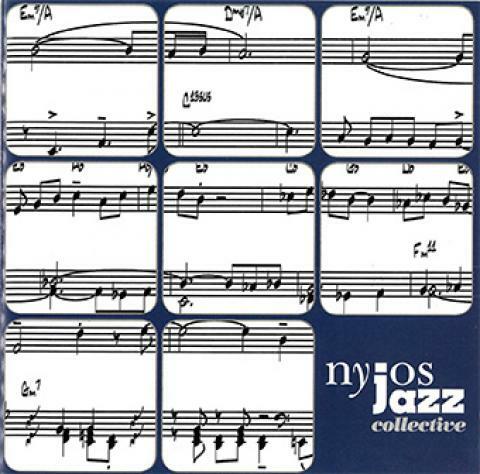 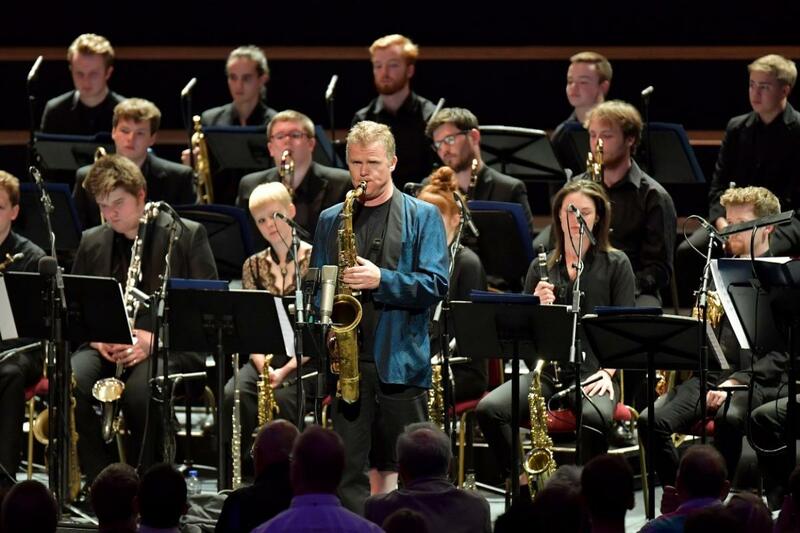 Hear Miles Davis and Gil Evans’s Miles Ahead and more played by the Jazz at Lincoln Center Youth Orchestra, NYOS Jazz Orchestra and the Guildhall Jazz Orchestra. 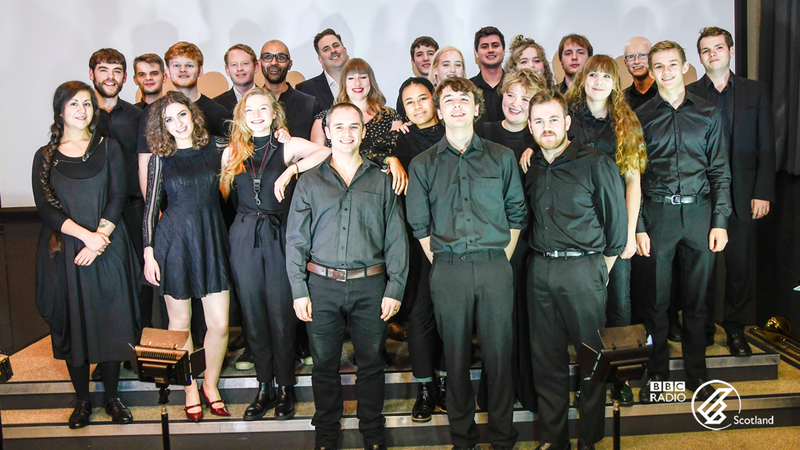 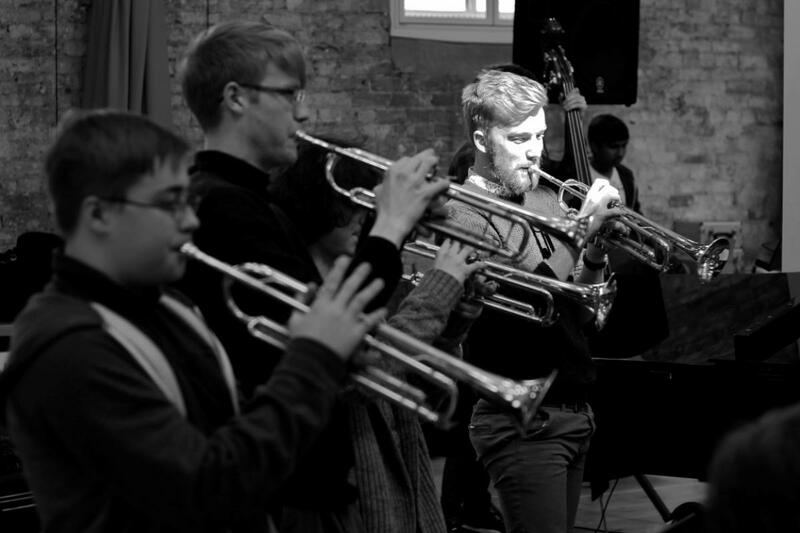 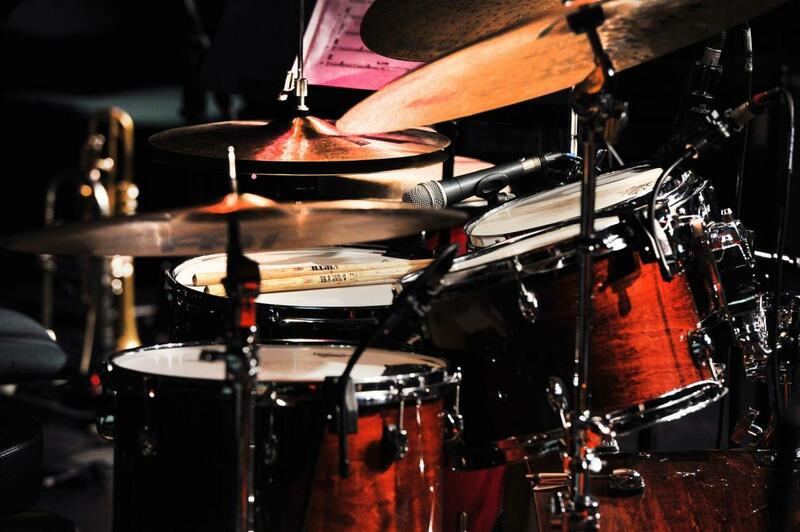 NYOS Jazz Orchestra present a programme that takes them on a 'Road Trip Across America'. 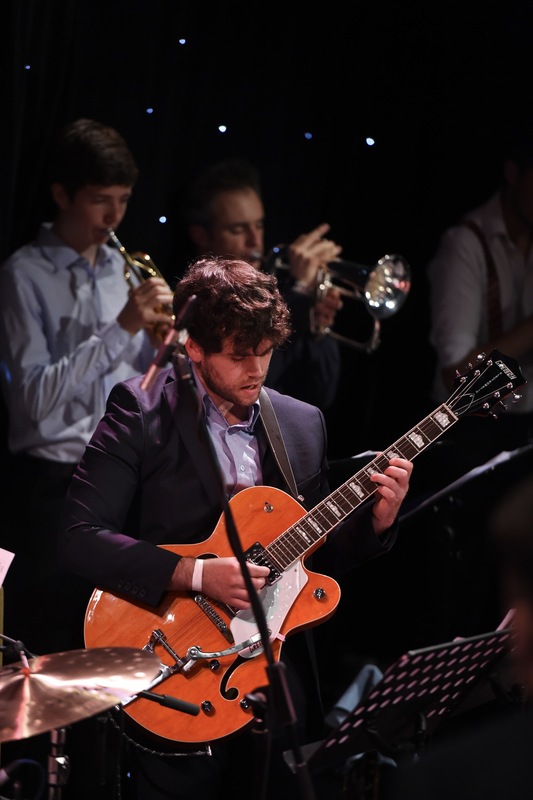 The orchestra is led, as always by Music director Malcolm Edmonstone and Principal Conductor Andrew Bain and the featured guest artist this summer is the amazing Scottish guitarist Malcolm MacFarlane. 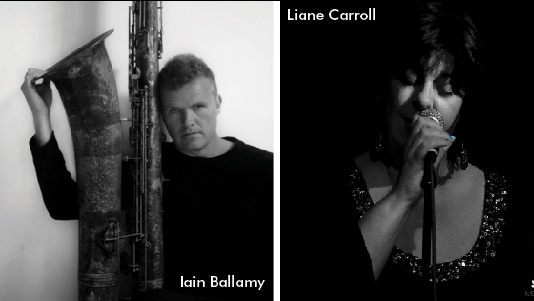 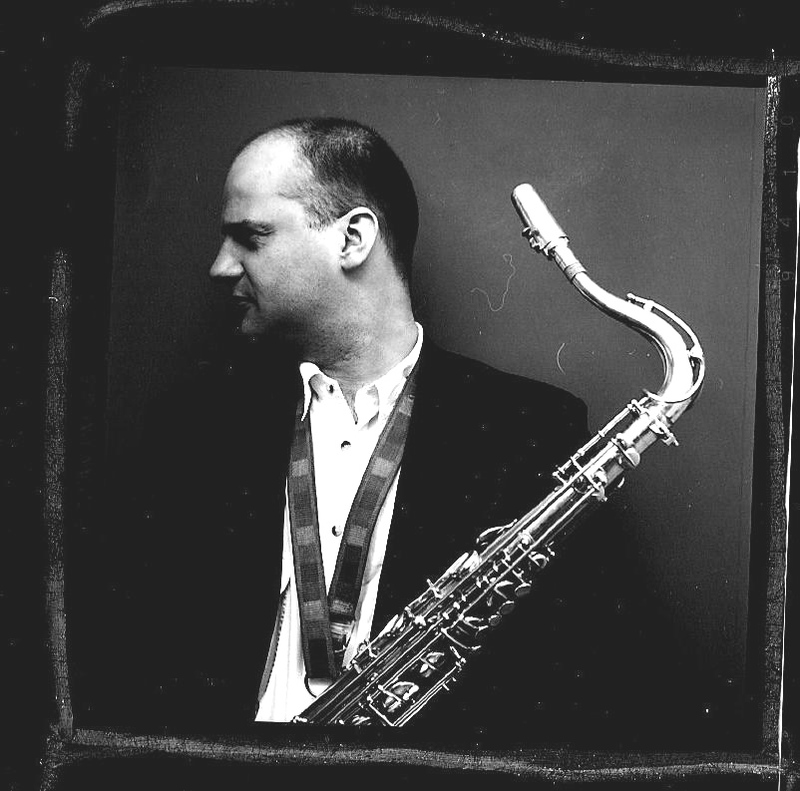 This summer we are excited to welcome back previous collaborators – saxophonist Iain Ballamy performing some of his compositions such as All Men Amen and Floater along with pianist/vocalist Liane Carroll – to perform a series of arrangements by Malcolm Edmonstone, including songs made popular by Frank Sinatra, The Beatles, Carole King and others. 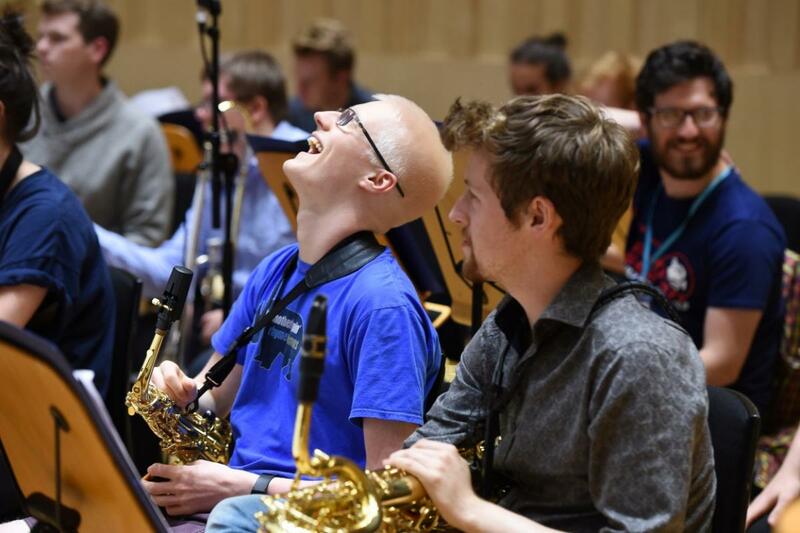 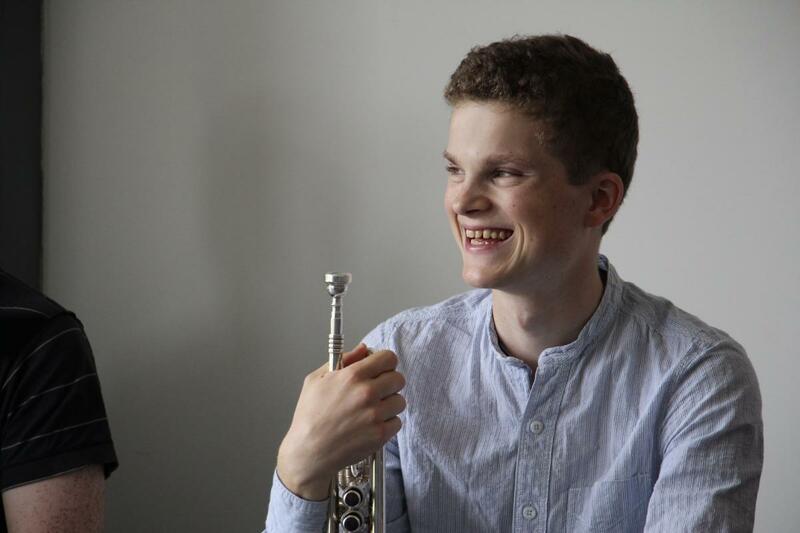 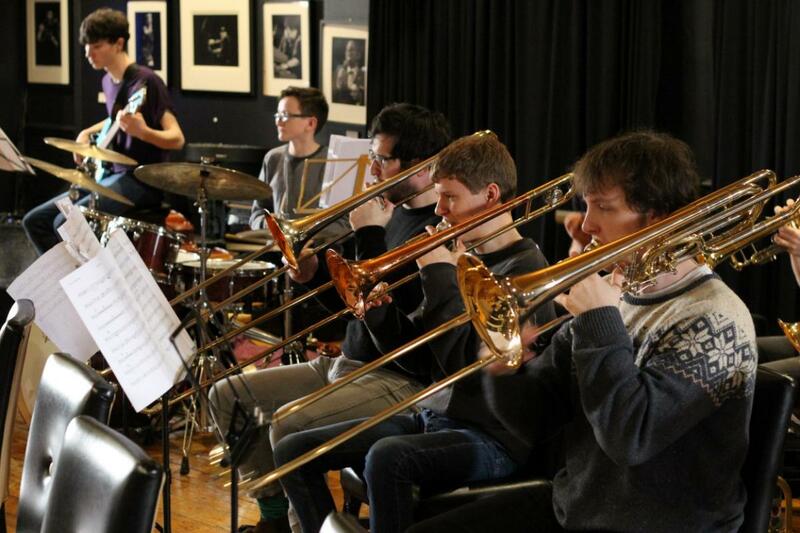 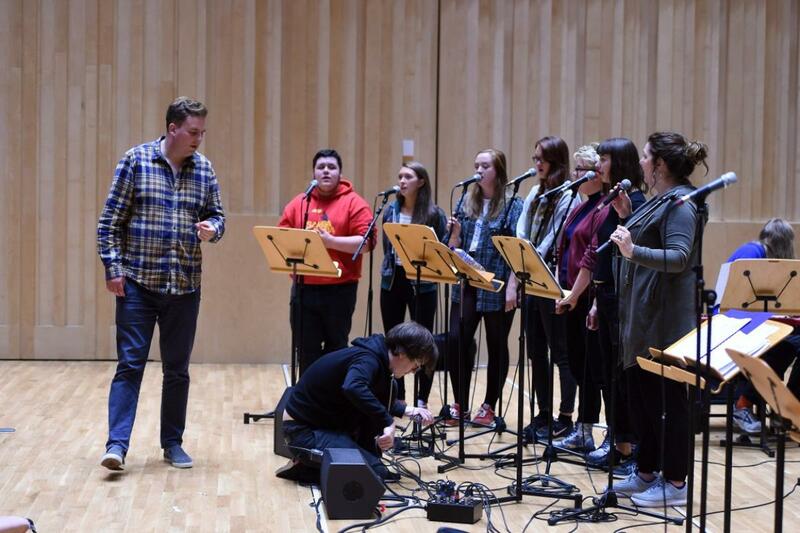 This spring, NYOS Jazz Orchestra joins Iain Dixon, in collaboration with equally talented young musicians from the vibrant Greater Manchester jazz scene. 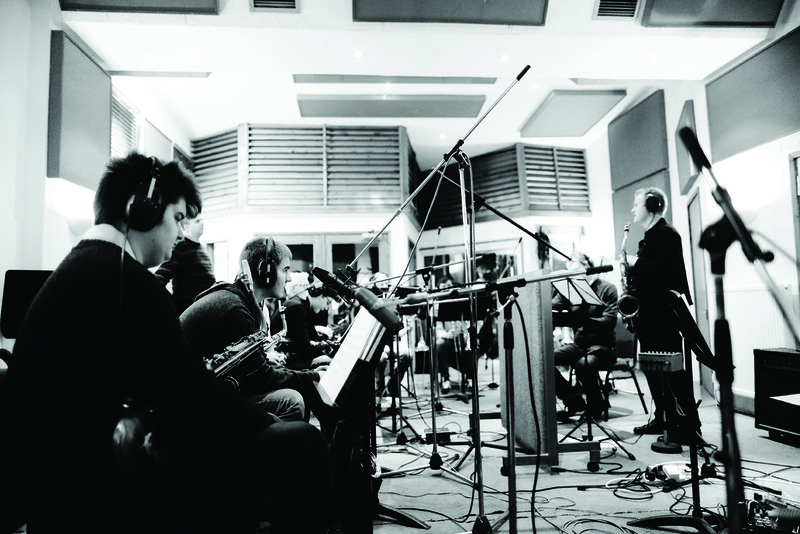 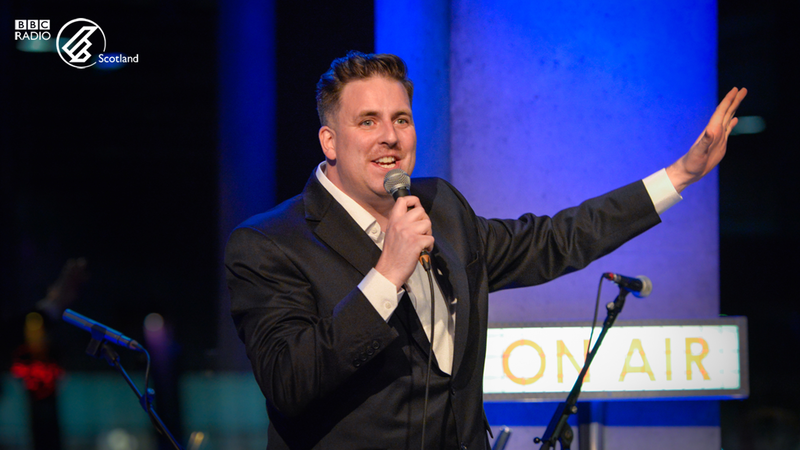 Iain boasts an illustrious career, which began with the BBC Radio Orchestra and the BBC Big Band, and we eagerly anticipate this unique project arranged for double big band. 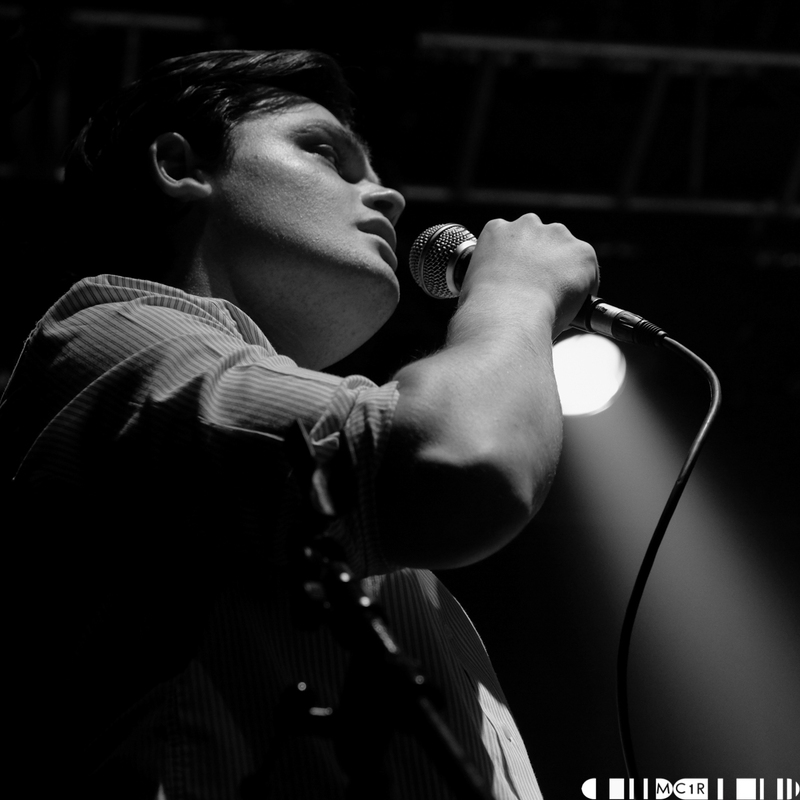 Due to circumstances out with our control the Glasgow performance venue has now changed. 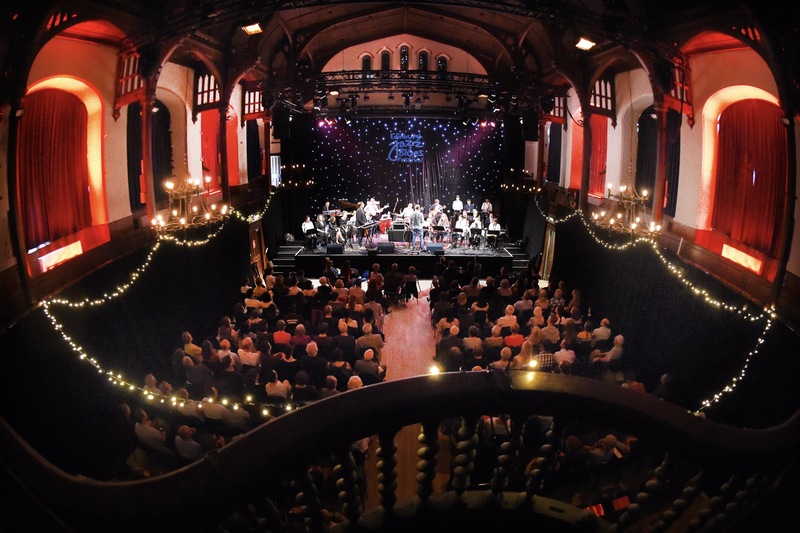 The concert will now take place at Cottiers Theatre in Hyndland instead of Websters Theatre on Great Western Road. 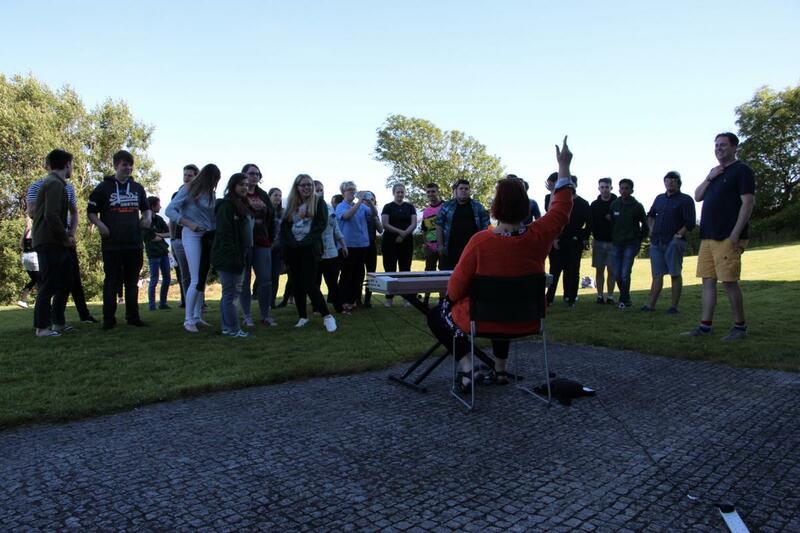 The concert will still take place at 8pm on Thursday 16th July. 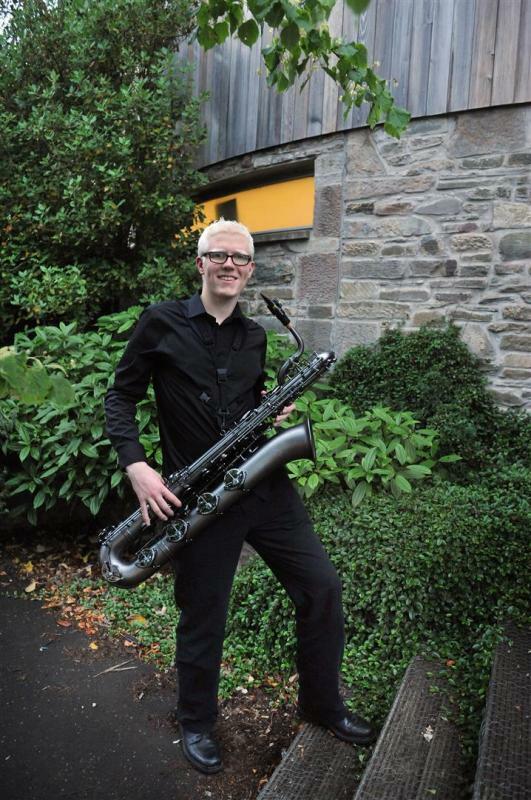 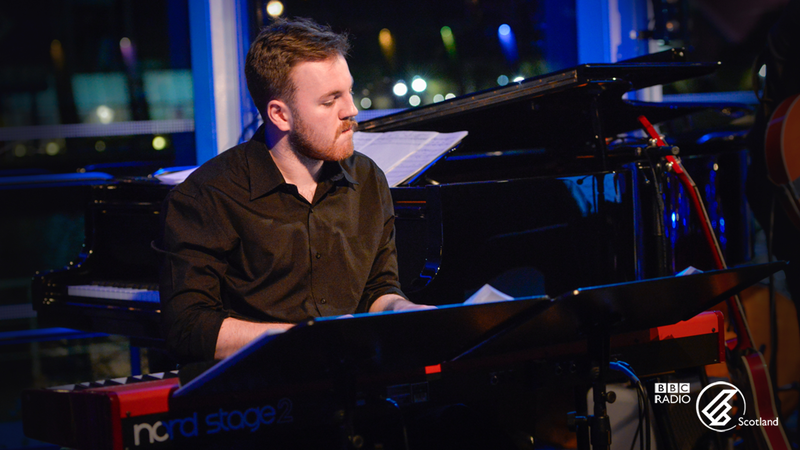 NYOS Jazz Artistic Directors Malcolm Edmonstone and Andrew Bain perform live as a trio with special guest Malcolm MacFarlane on guitar in selected venues across Scotland. Music will feature a mixture of funk, soul and traditional jazz guaranteed to put everyone in a festive mood. 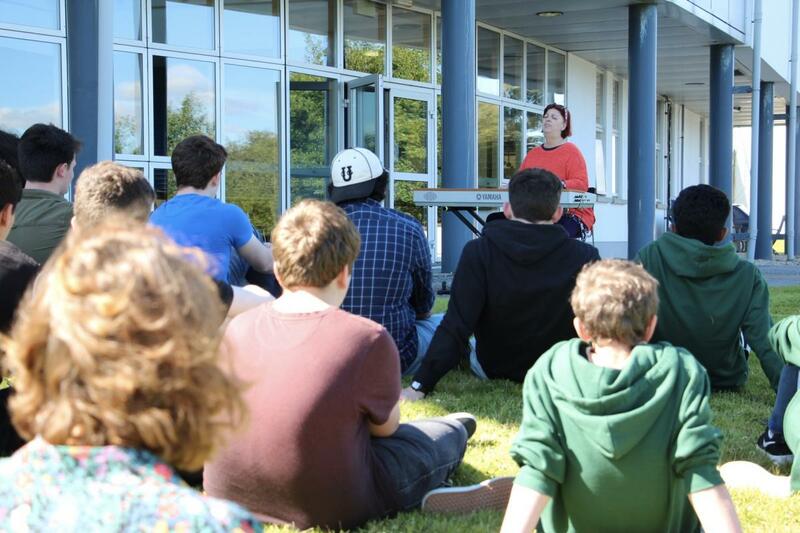 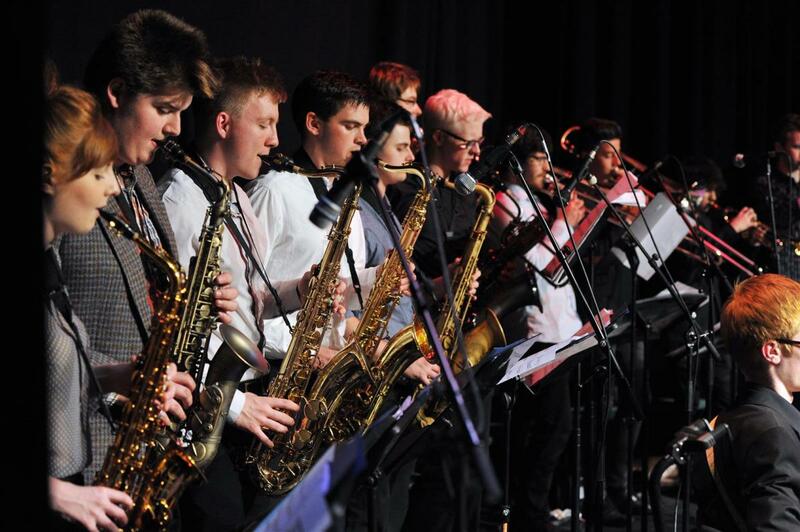 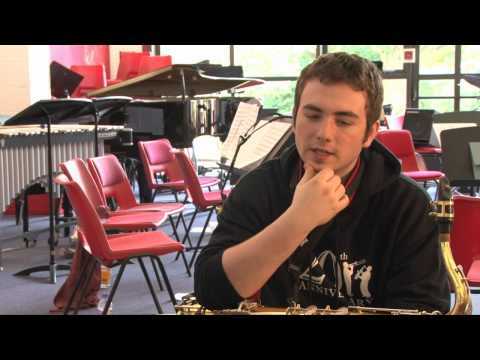 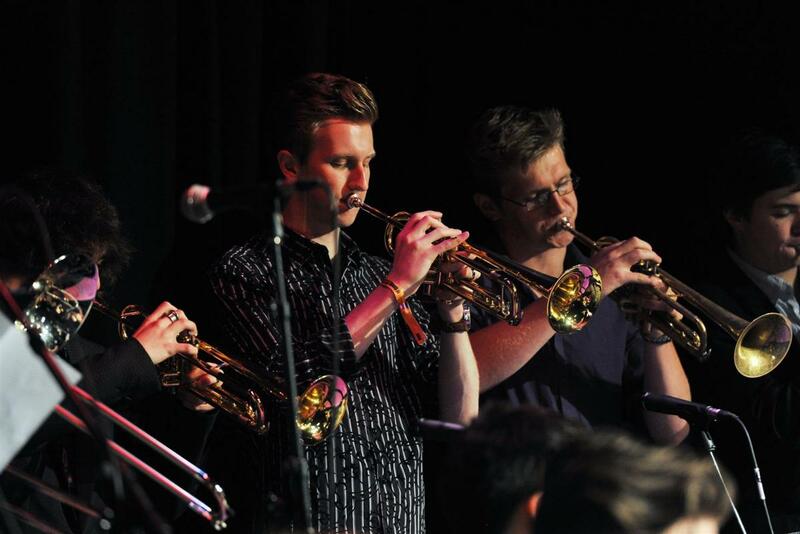 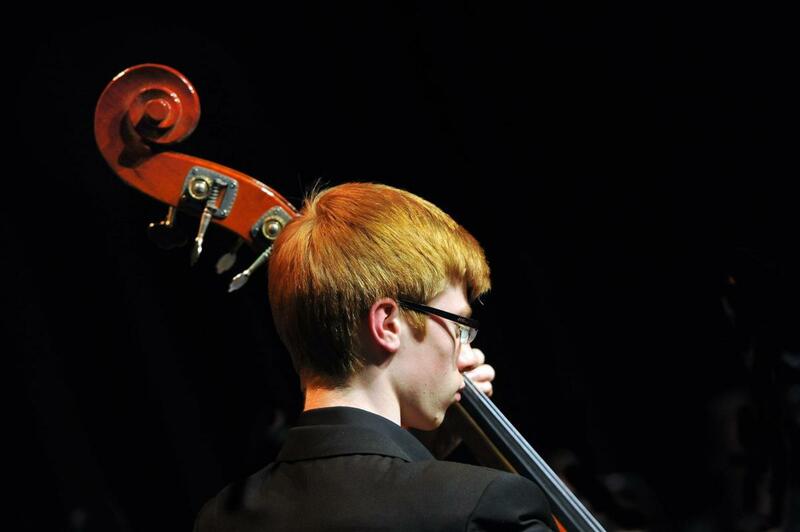 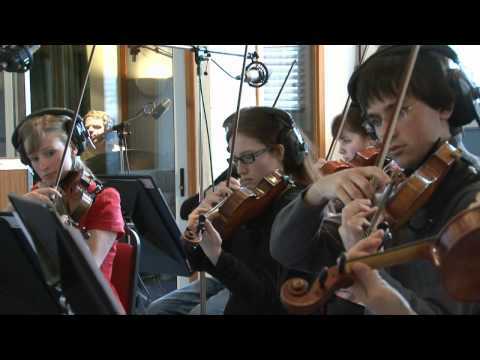 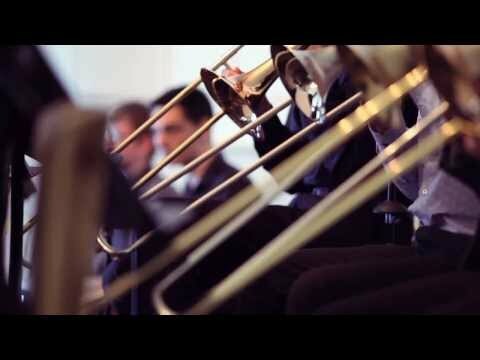 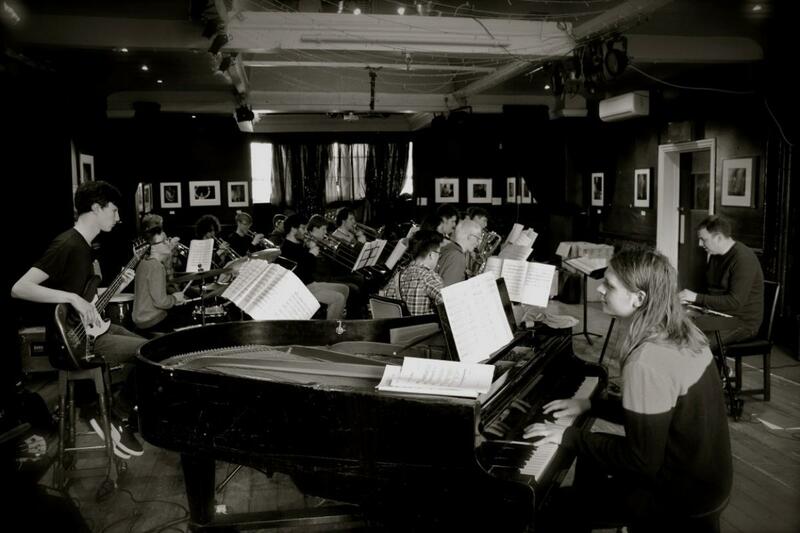 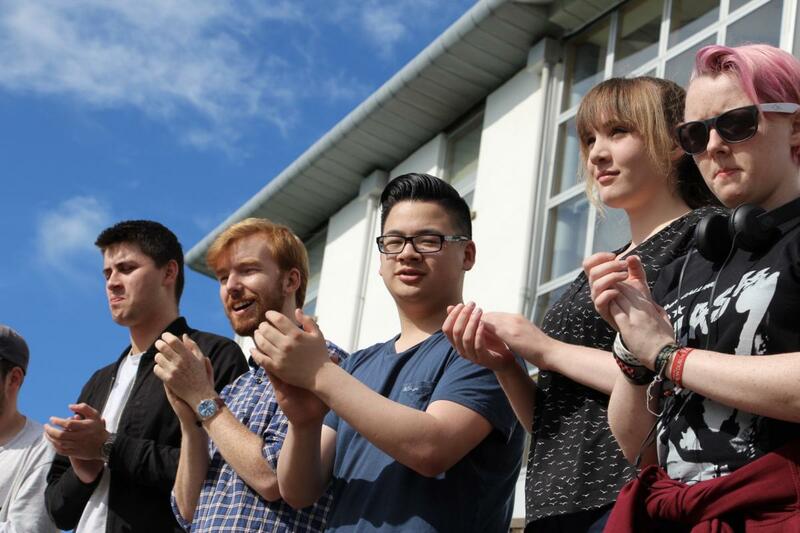 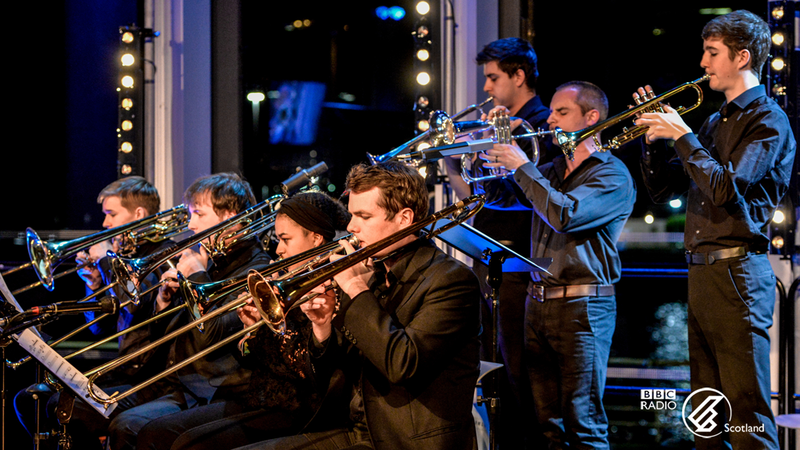 NYOS Jazz Orchestra of Scotland is one of Scotland’s foremost youth jazz ensembles. 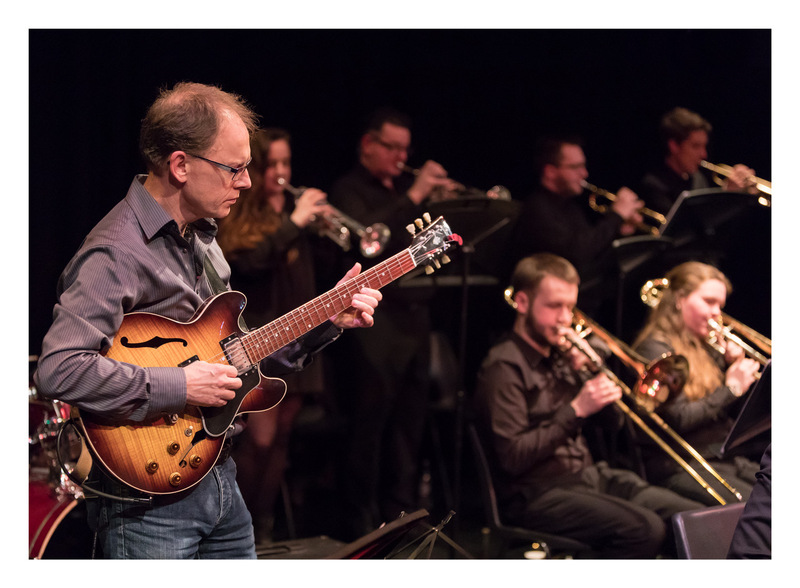 Under the direction of Malcolm Edmonstone and Andrew Bain, and featuring soloist Gordon McNeil on saxophone, will recreate the magic of Brecker, from moving ballads to upbeat fusion. 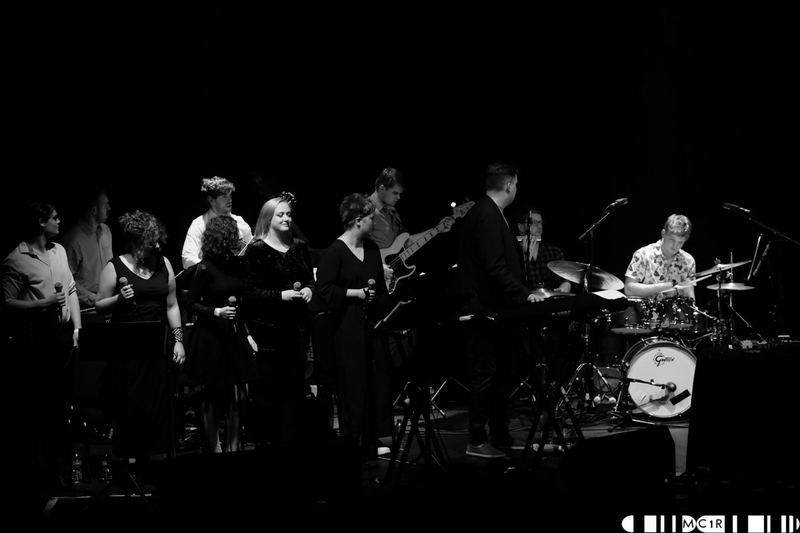 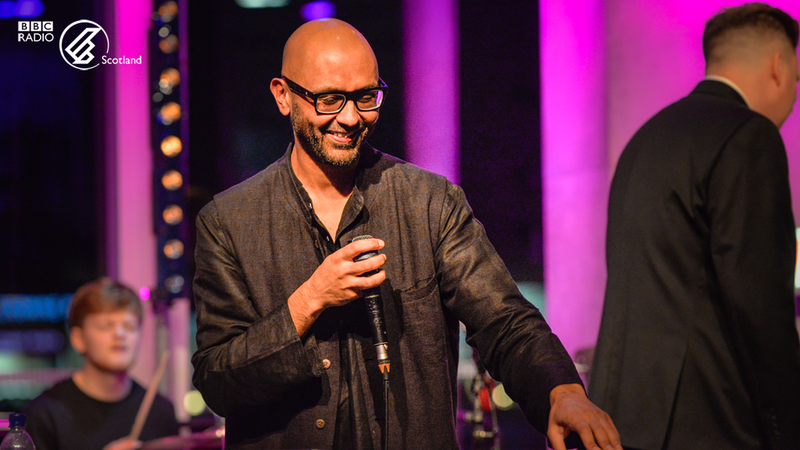 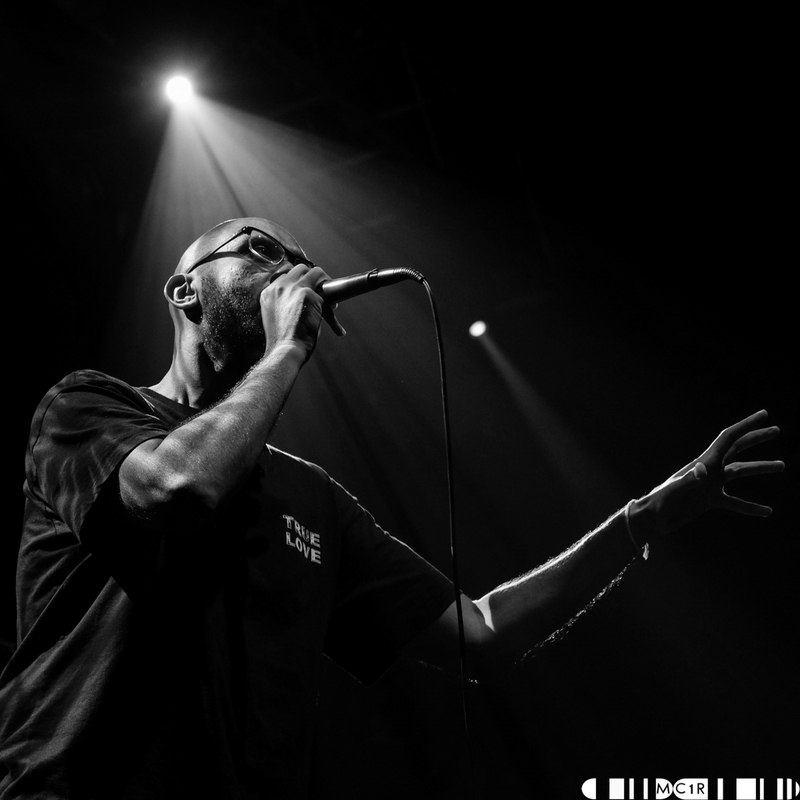 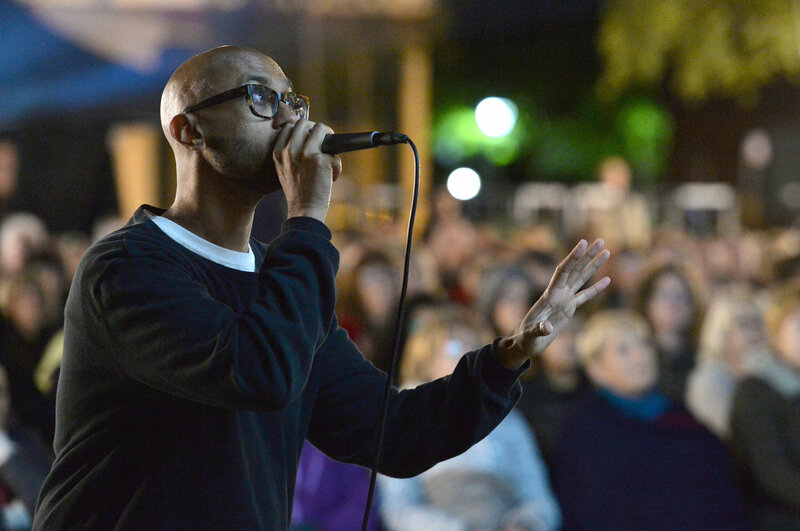 The four-voice “choir”, as director Malcolm Edmonstone termed it, effectively gave the ensemble an extra section, both on selections of music from the book of Weather Report keyboard player Joe Zawinul, which he had arranged, and for the music originated by special guest, beatboxer and sound artist Jason Singh. 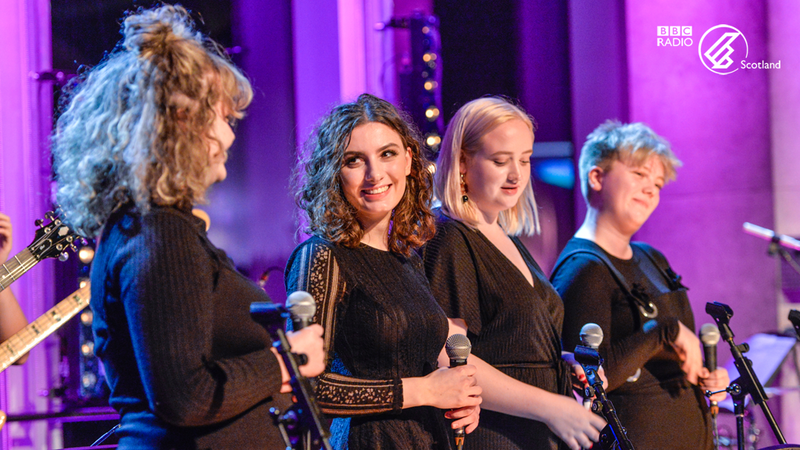 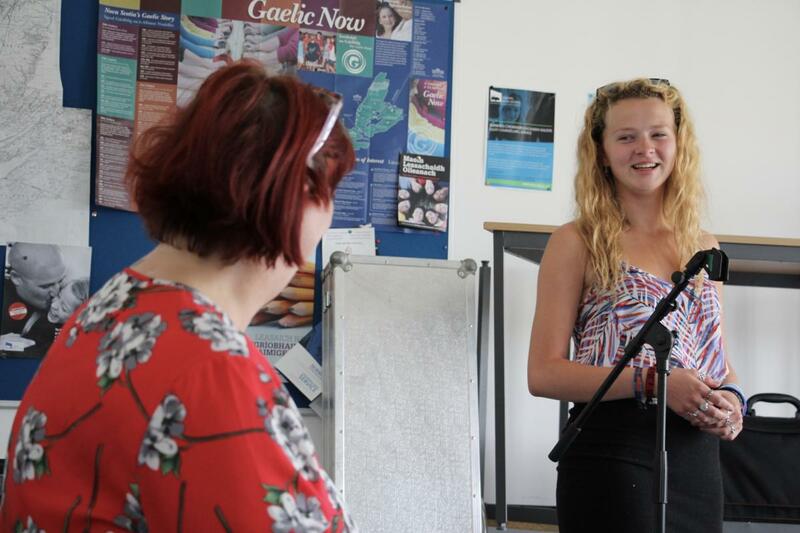 Jason sampled the young women’s voices most memorably on a radical exploration of the Skye Boat Song, referencing the residency at Sabhal Mor Ostaig where the partnership began earlier this year. 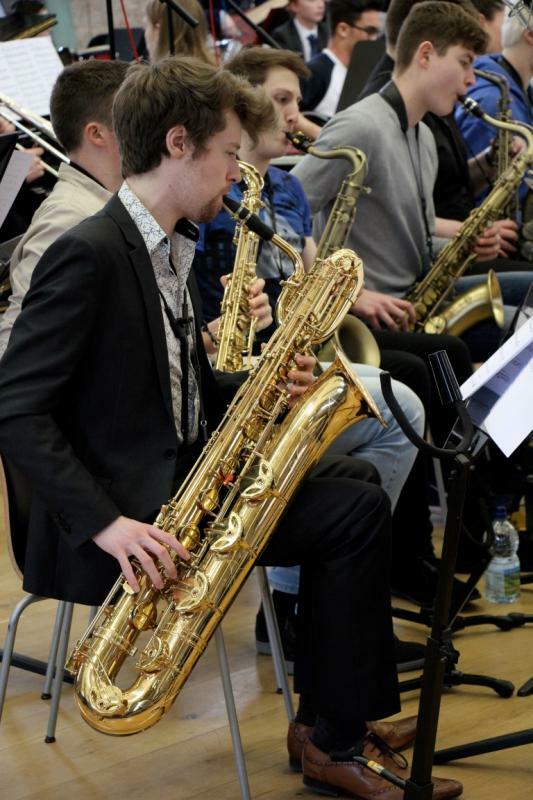 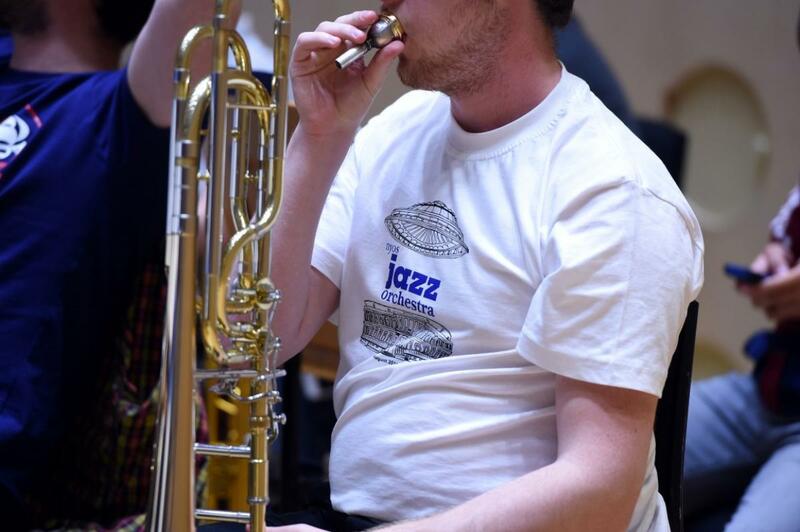 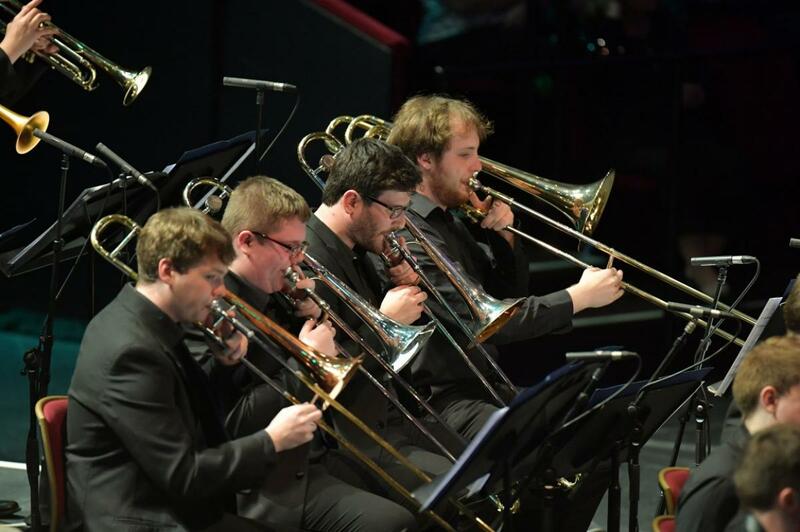 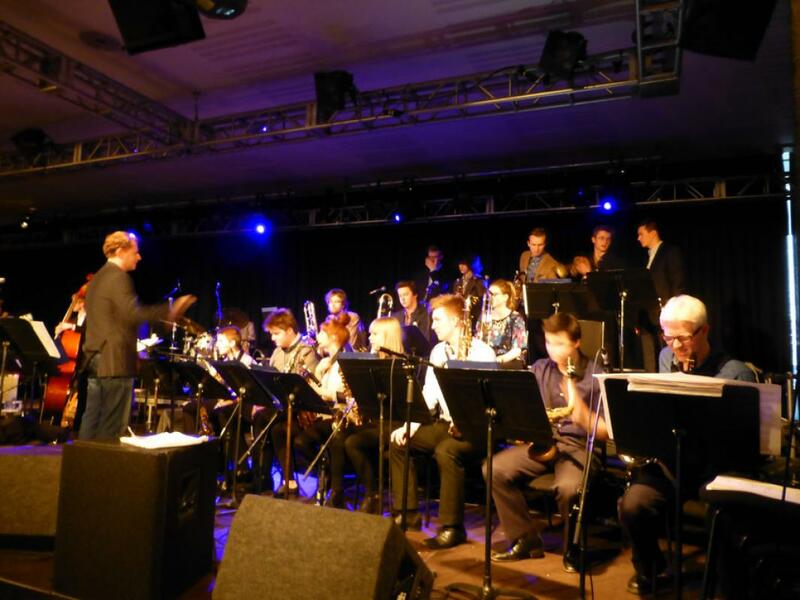 Local talent shone on stage at the weekend as the NYOS jazz orchestra came to Aberdeen. 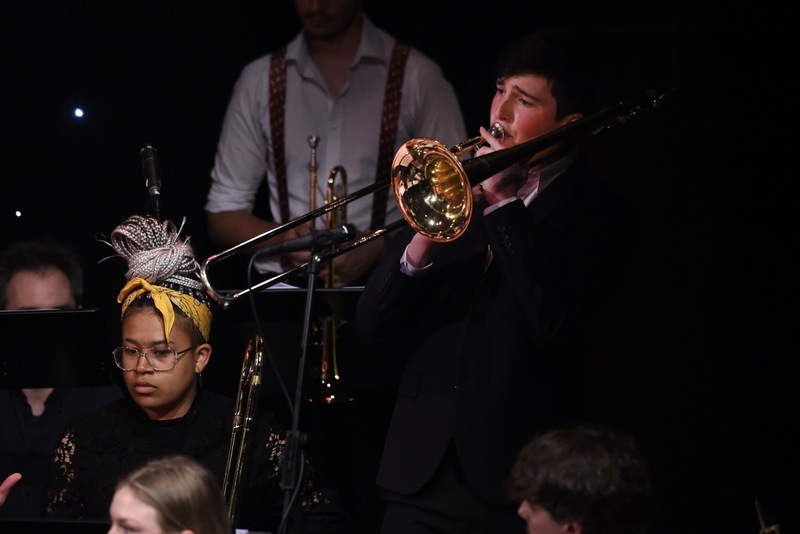 The outstanding ability of every musician was more than evident as the youths played to the enchanted audience at the Lemon Tree. 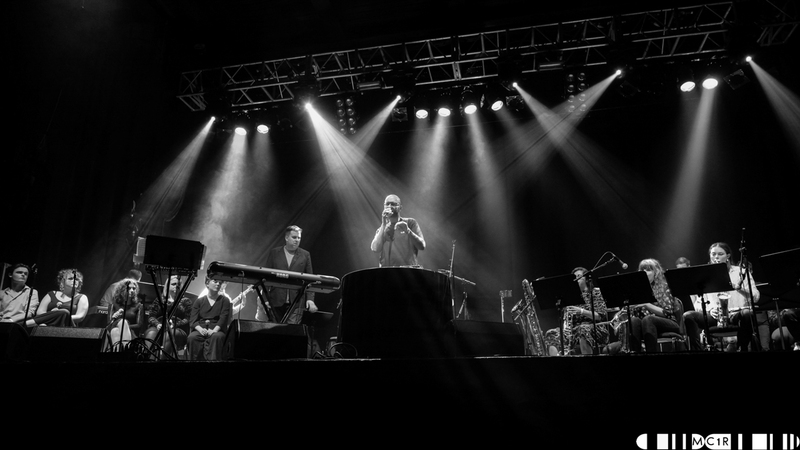 One of my all time favourite albums is Donald Fagen’s post Steely Dan 1981 debut solo album, The Nightfly. 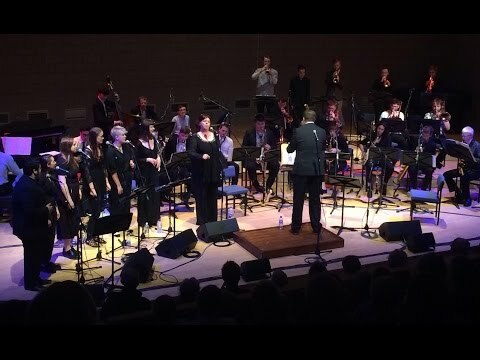 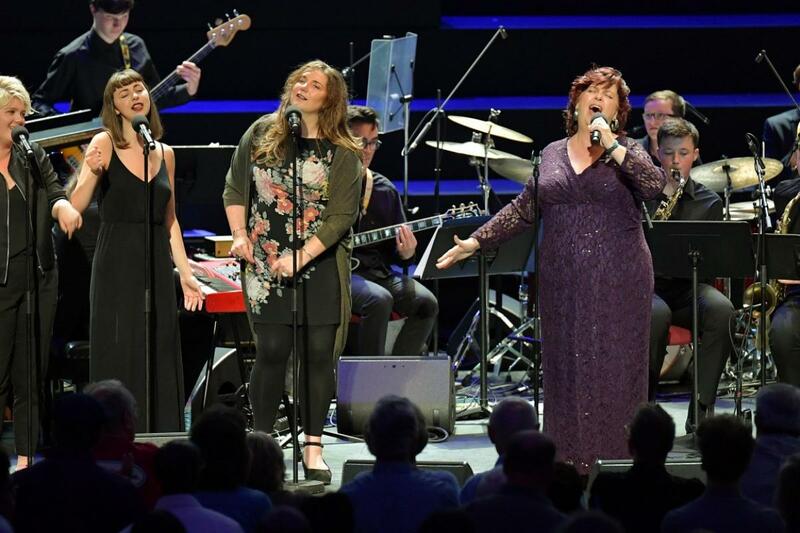 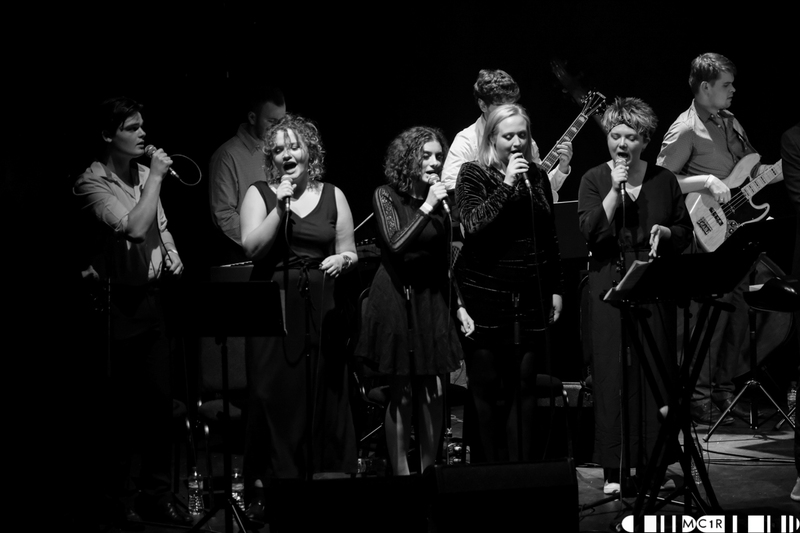 Well, Malcolm Edmonstone has taken the album and arranged it for the NYOS Jazz Orchestra performing a ‘big band’ rendition from start to finish (with five brilliant vocalists) conducted by Andrew Bain in Edinburgh’s brand new Rose Theatre on Rose Street. 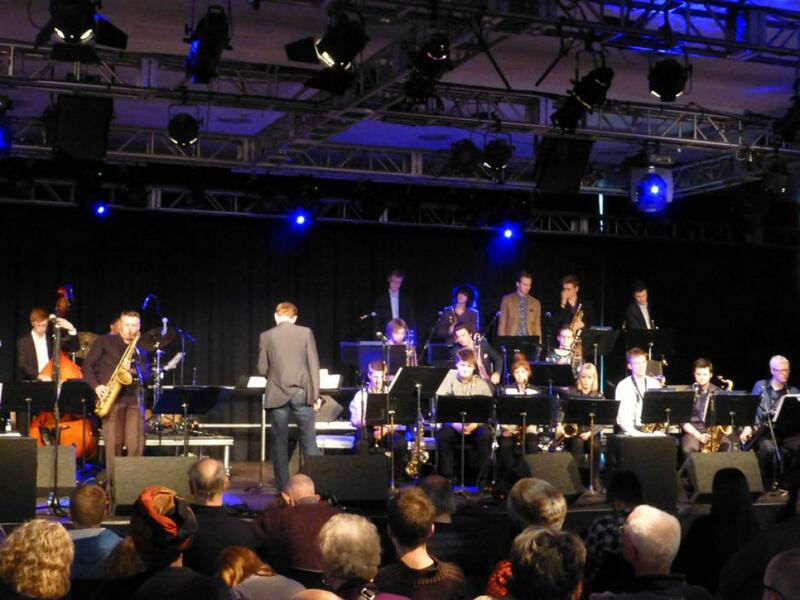 The strong jazz connections between Birmingham and Scotland are manifested this week with no fewer than seven “ex-pat Scots Brummies” included in the National Youth Jazz Orchestra of Scotland (NYJOS) performances at the Wiltshire Music Centre near Bath on Thursday and a late night Prom at the Royal Albert in London on Friday. 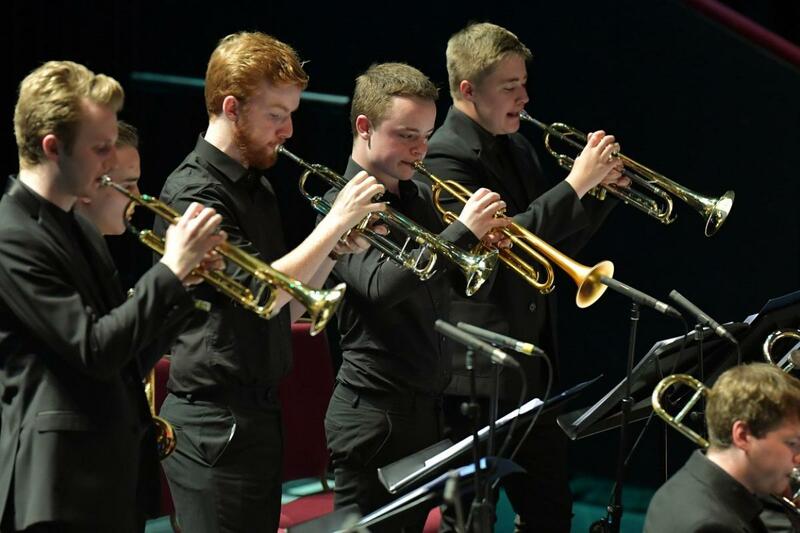 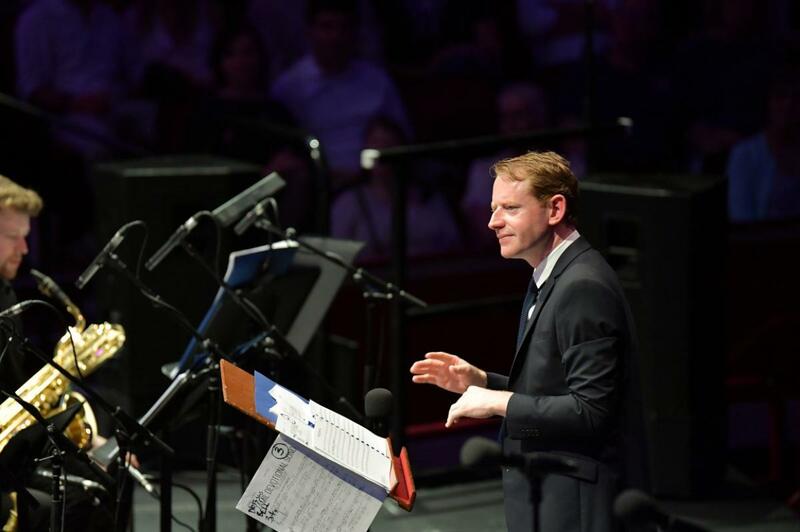 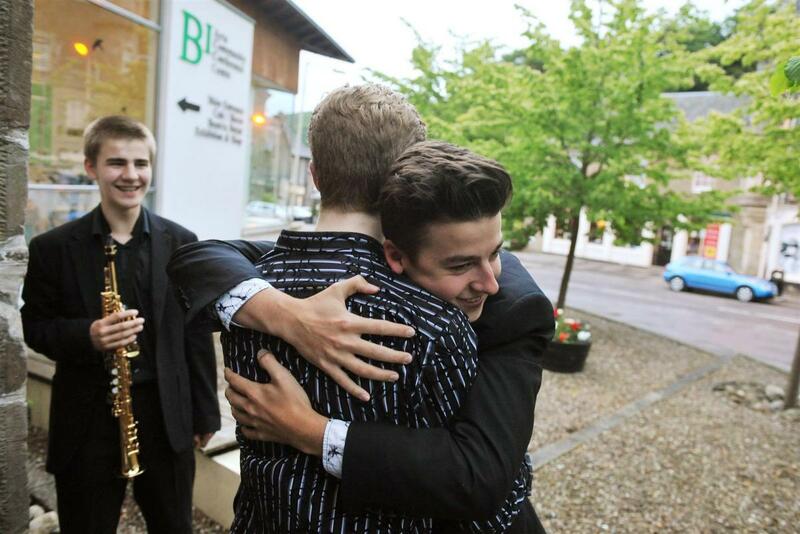 Now into its third decade, the National Youth Jazz Orchestra of Scotland was more than due a Proms platform for its all-round excellence. 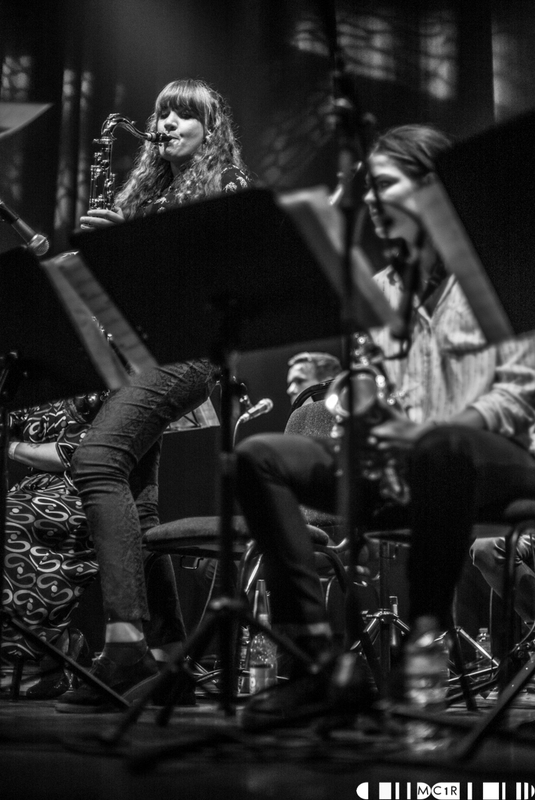 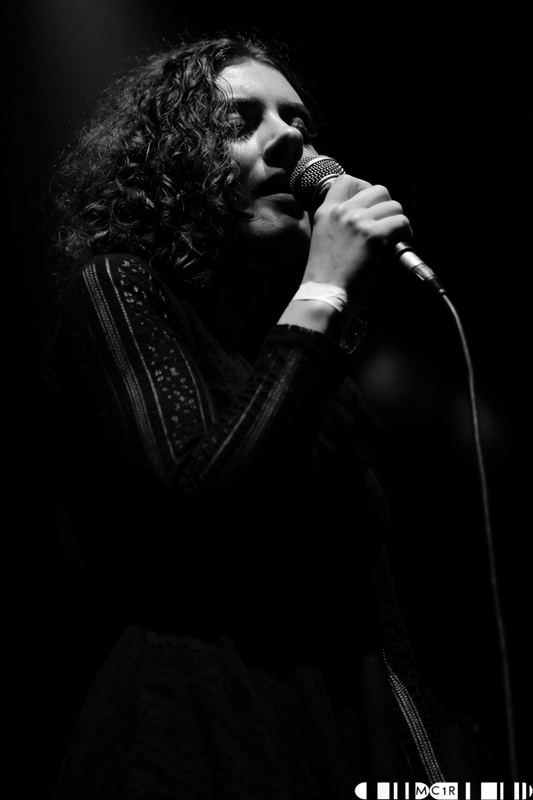 Falling into three parts, this late-night event accordingly played to the musicians’ strengths. 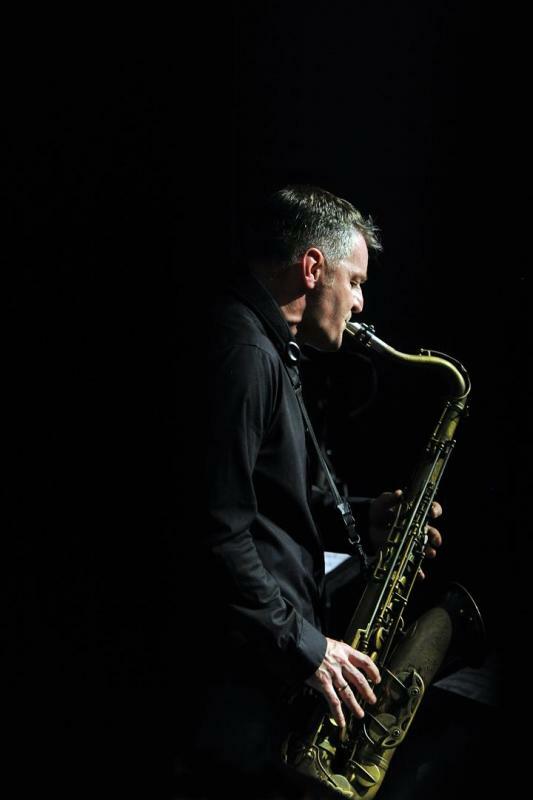 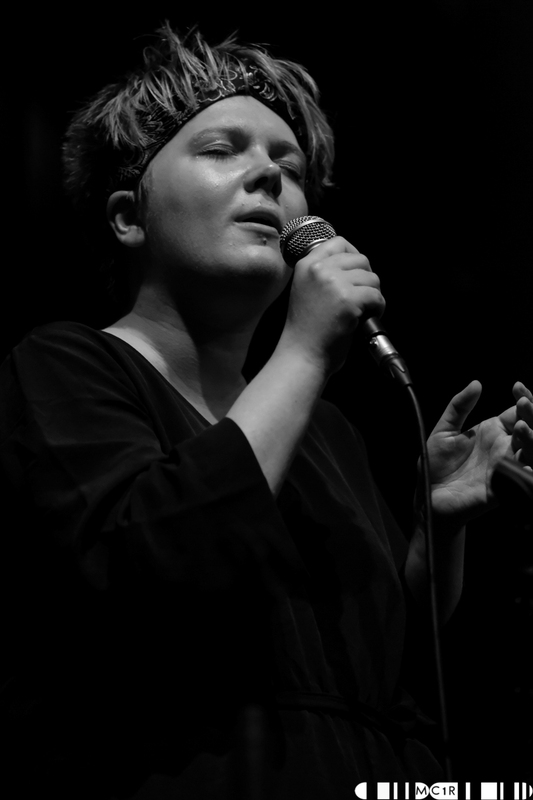 First was a showcase for Iain Ballamy (who last appeared at these concerts as a member of Loose Tubes nearly thirty years ago) – his tenor saxophone incisively to the fore in the moodiness of ‘All Men Amen’, then taking on a rather more whimsical feel in ‘Emmeline’ with its appealing scenario of a dialogue between the suffragette and an ape. 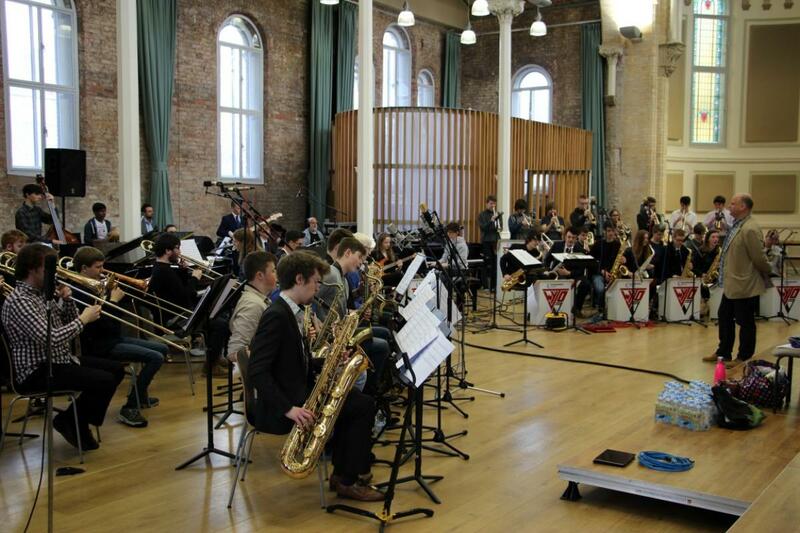 20 instrumentalists, 7 singers, 2 directors, and 2 soloists. 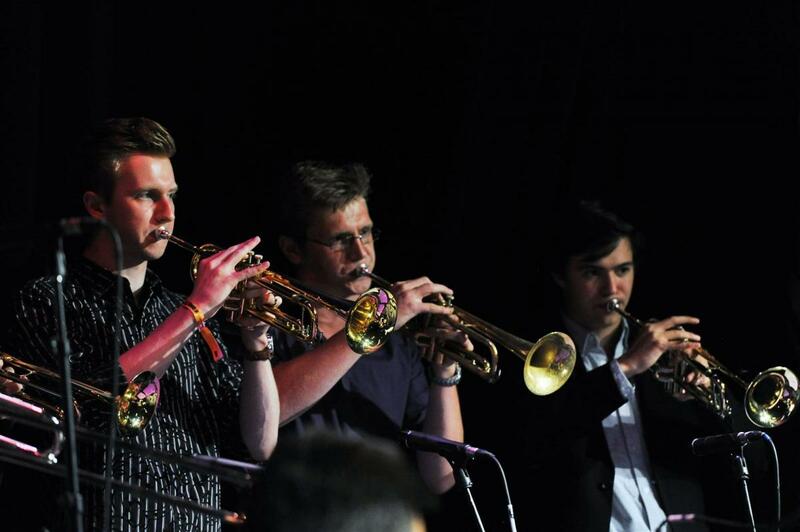 That’s all it took to create an hour of jazz I will never forget. 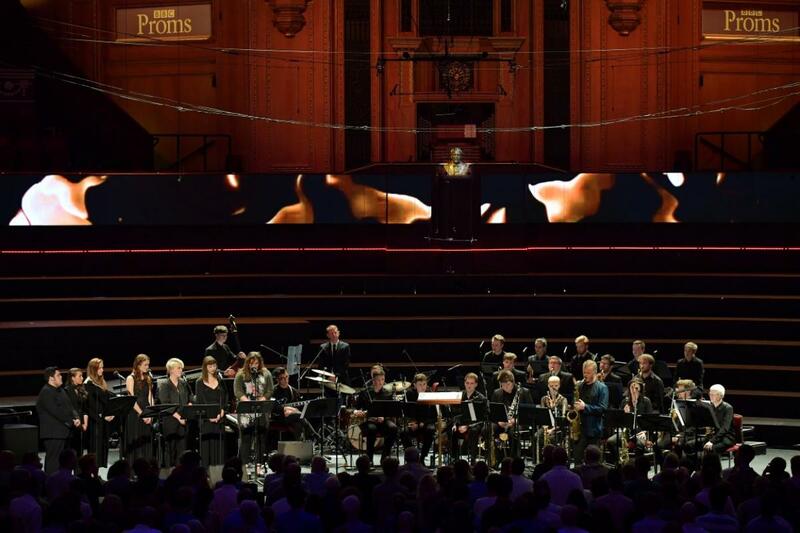 I urge you to listen to the beginning of Prom 28 to get an idea of the atmosphere that graced the RAH last night. 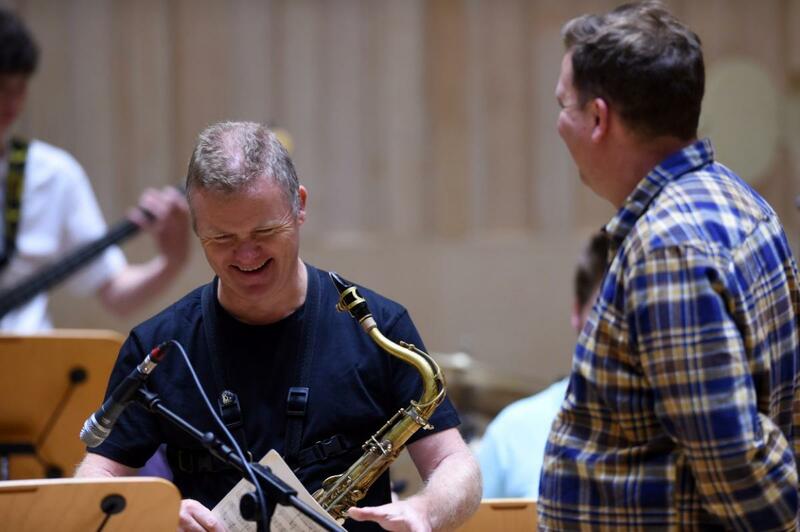 It didn’t take very long to be transfixed on the beyond impressive tone and technical quality of Iain Ballamy, the tenor saxophonist soloist. 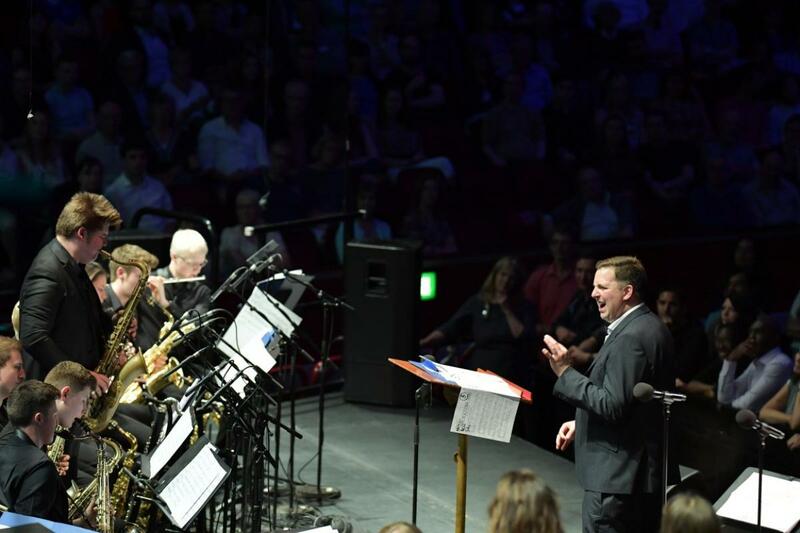 I have always loved Big Band music, but haven’t really indulged myself in all different types of jazz, which last night opened my eyes to. 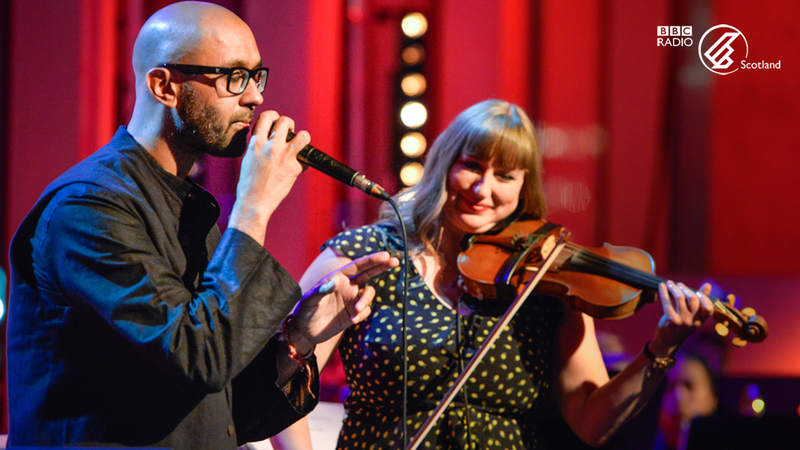 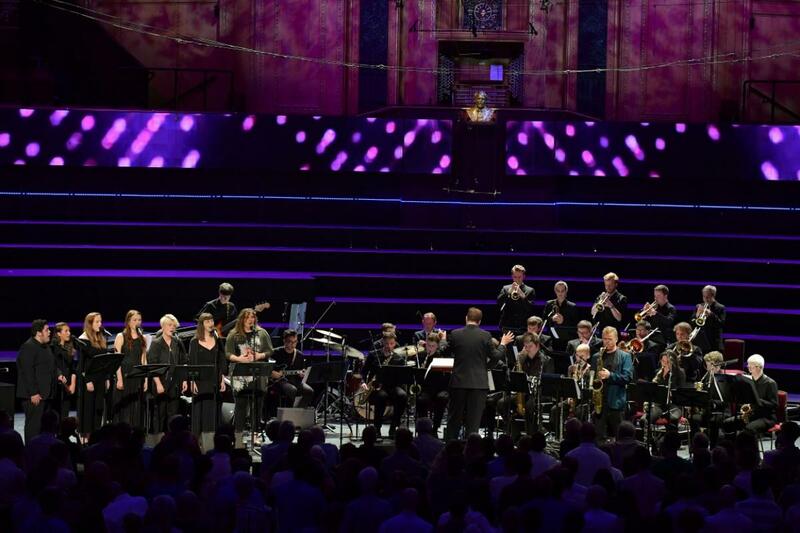 The late-night jazz and world music Proms have been a very mixed bag over the past 20 years or so. 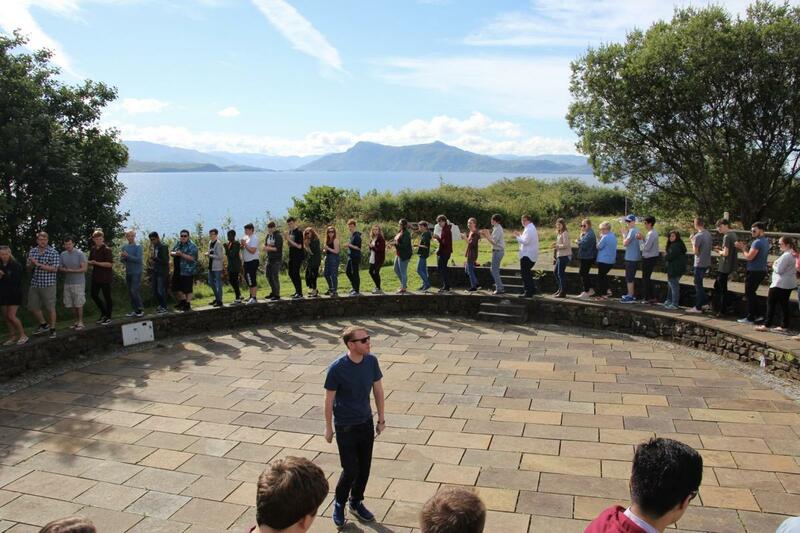 Sometimes it has felt as if the programmers have been politely going through the motions. 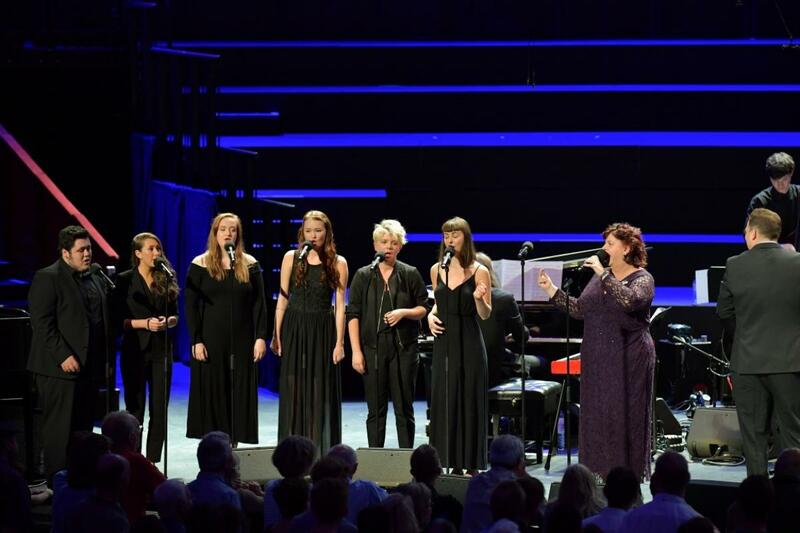 This concert, though, was a triumph. 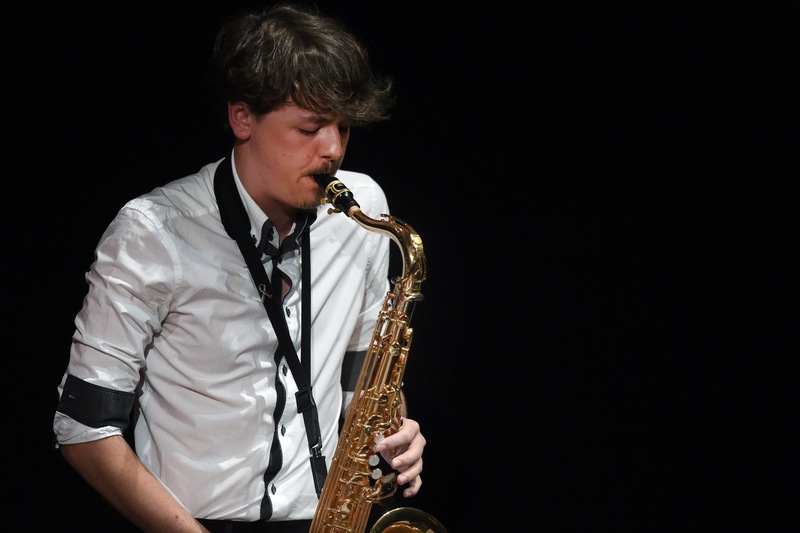 If anyone doubted that jazz is a universal language, the sight of a young saxophonist who looked like an extra from a Harry Potter film channelling the spirit of Johnny Hodges supplied an emphatic response. 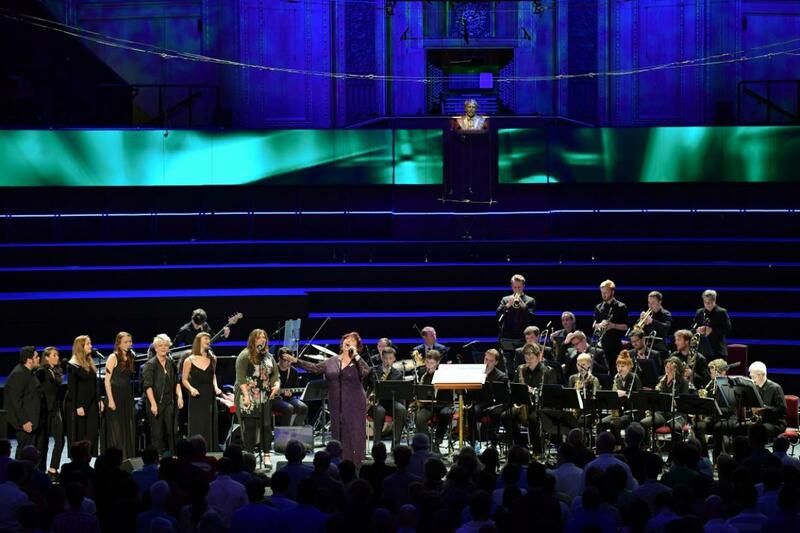 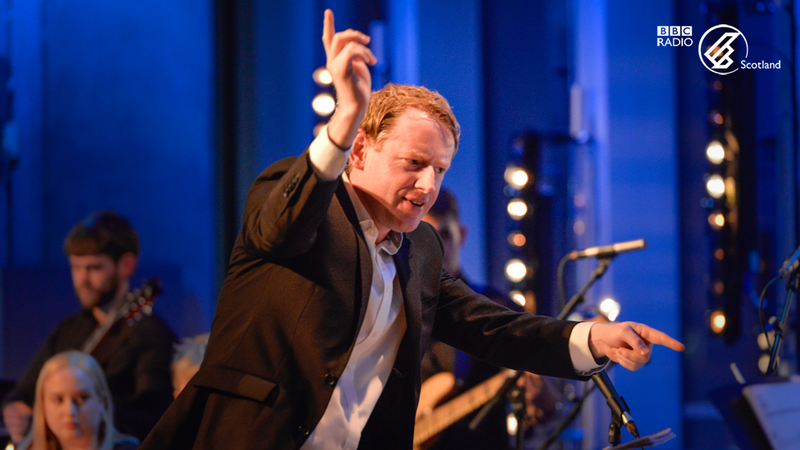 The late-night Prom which followed saw the National Youth Jazz Orchestra of Scotland to make their Proms debut. 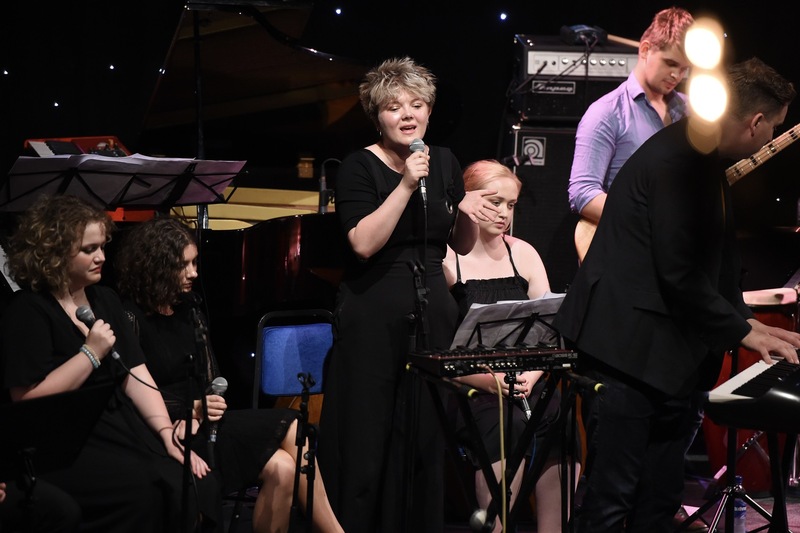 Conducted by Andrew Bain, led by pianist/composer Malcolm Edmonstone, and beefed up by the maturer talents of Liane Carroll and Iain Ballamy, those gifted young musicians held forth exuberantly for seventy unbroken minutes. 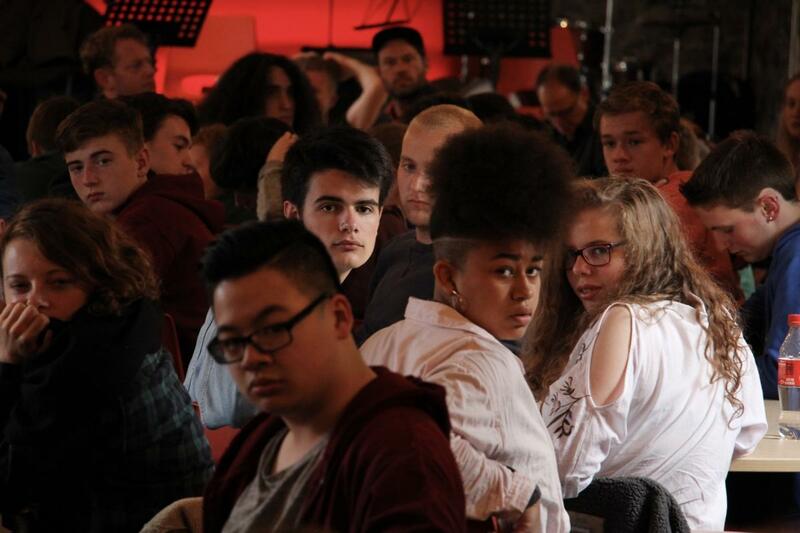 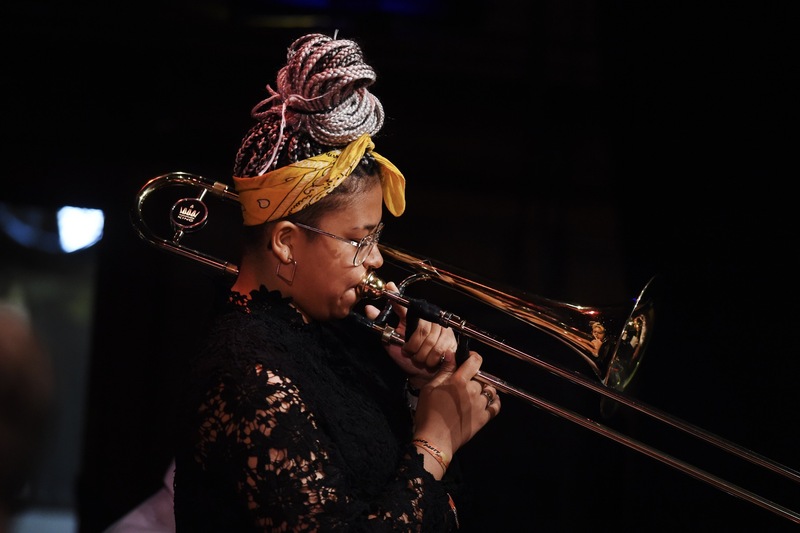 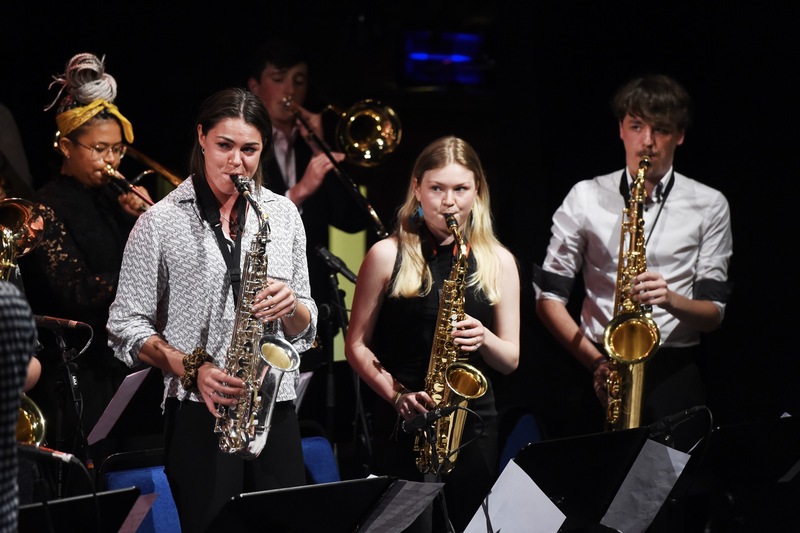 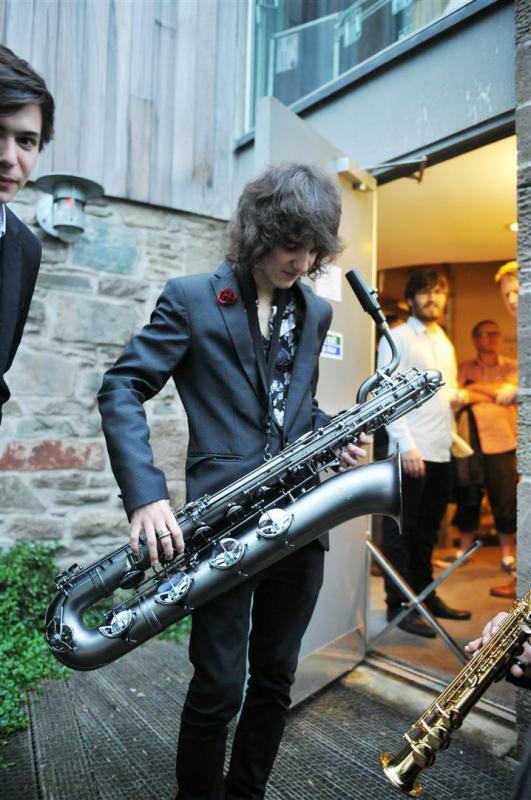 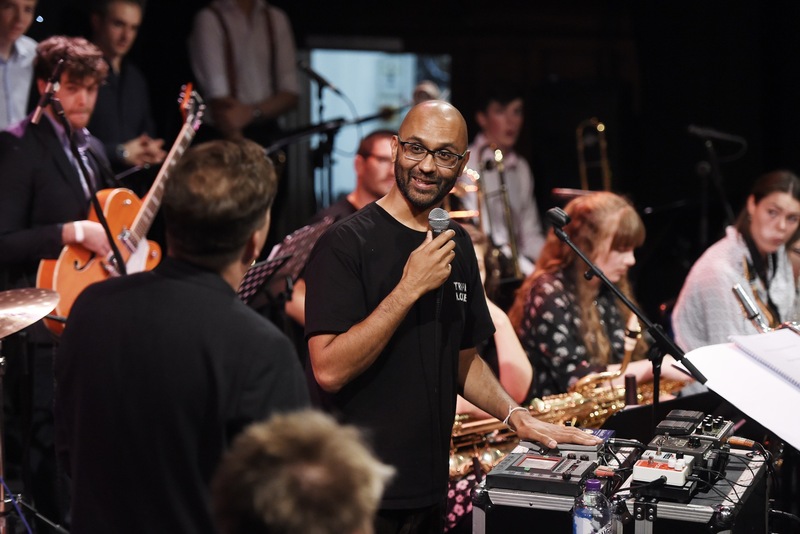 Cottiers Theatre became the church of jazz on Thursday as NYOS Jazz Orchestra’s annual summer tour brought the young musicians together with that most beguiling of saxophonists, Iain Ballamy in this former place of worship.